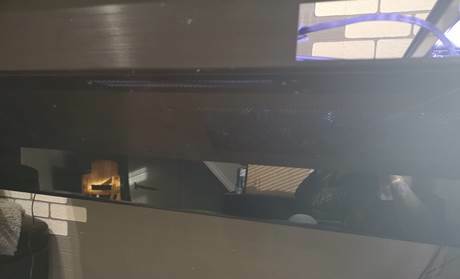 Hi all those of you that know me or dont, I have been modding PC's since the year 2000 give or take a few years, I have been inspired over my modding life from modders of past and even some modders of new, I was modding back in the day when we used caravan window rubbers to put case windows into a PC (i know ghetto but we done what we could back then with what we had) I am known across various forums as rchiileea, Richi and Richie123 as well as r1chieB on instagram. 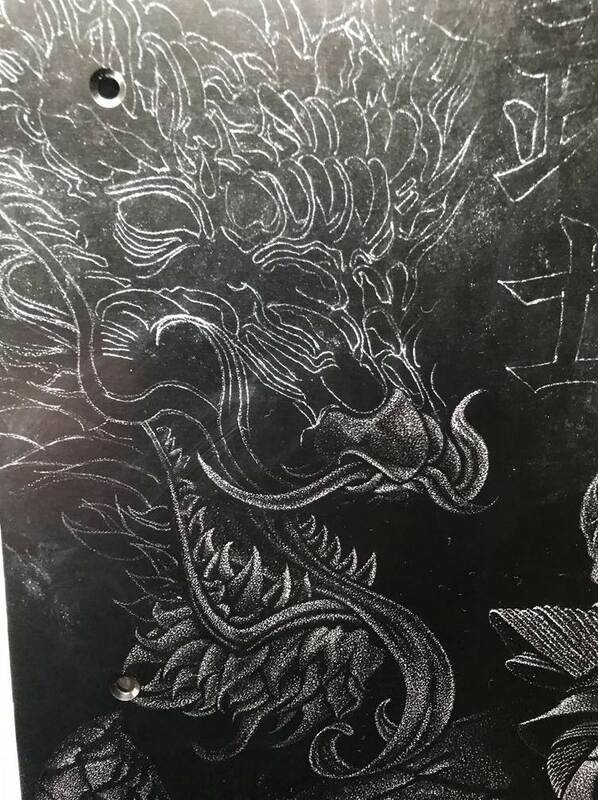 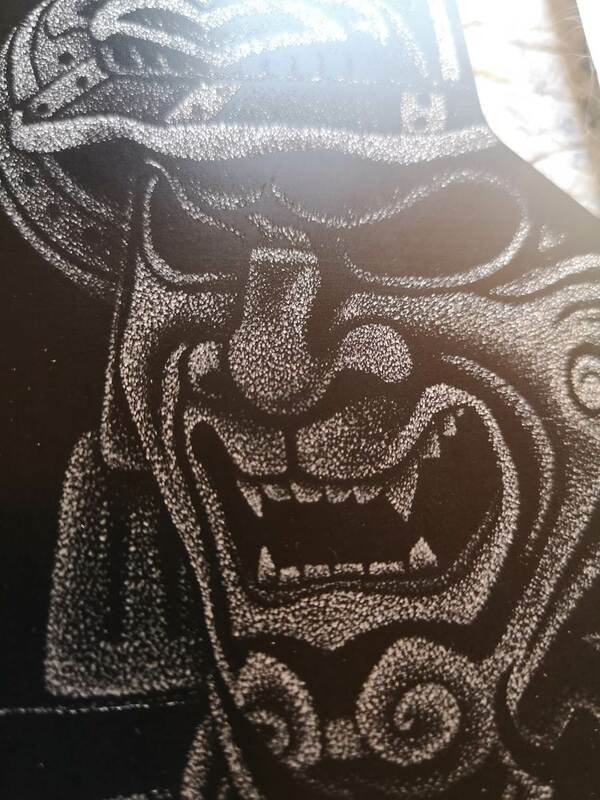 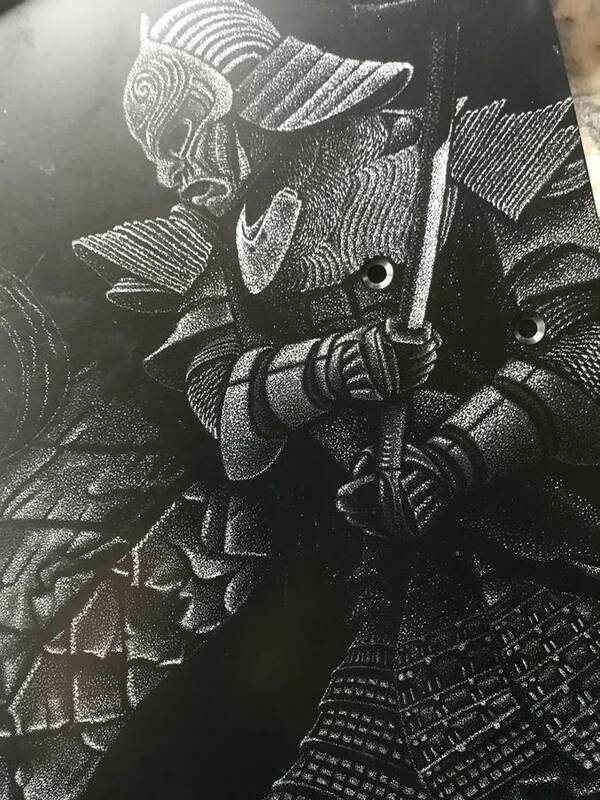 I also have the Lucky advantage of having a wife who is very talented and hand engraving images using only dots that create depth which far exceeds my flat images i used to engrave with the trusty old dremel. 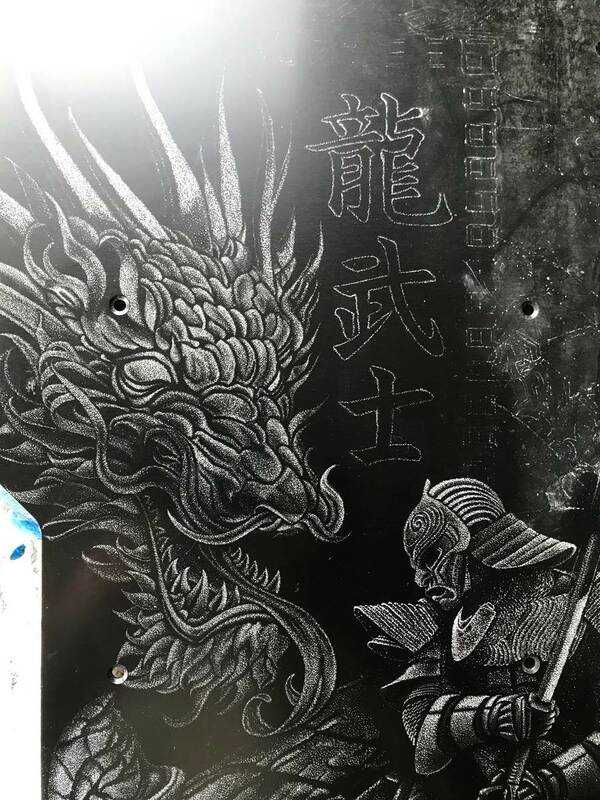 So let me introduce you guys to my latest project build that will be crazy mad, inspired by the samurai and will be built into Lian Li DK05x Twin PC desk, (hence the timeless warriors name). 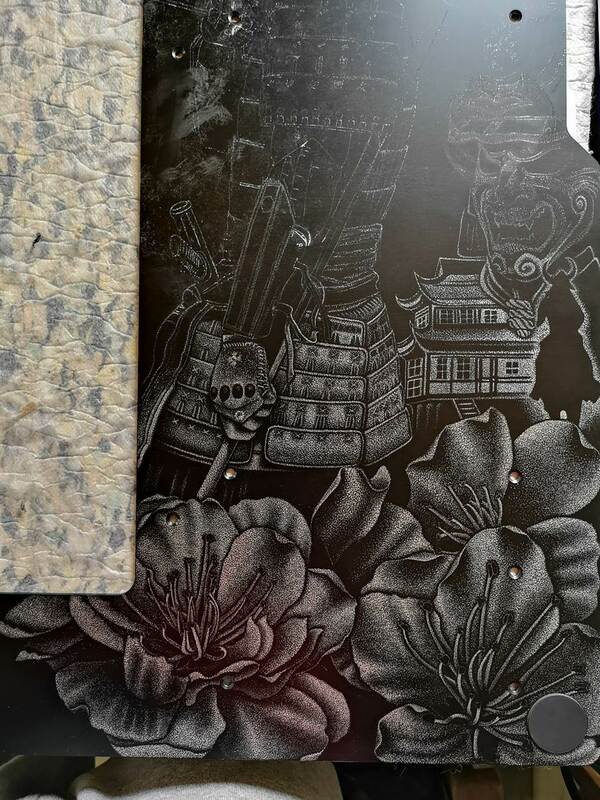 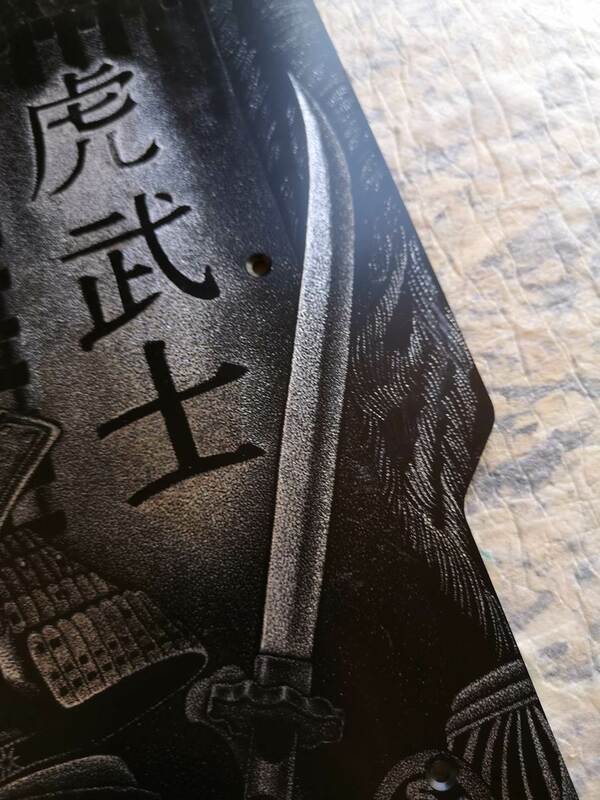 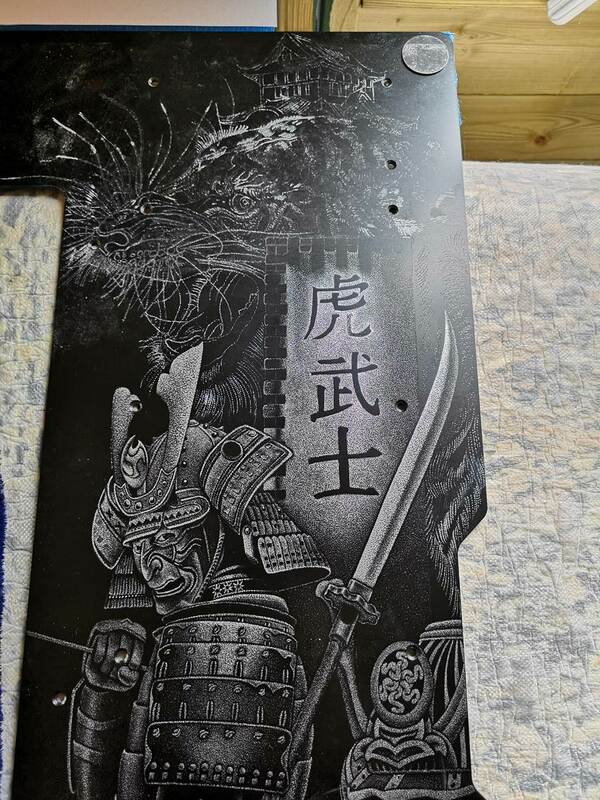 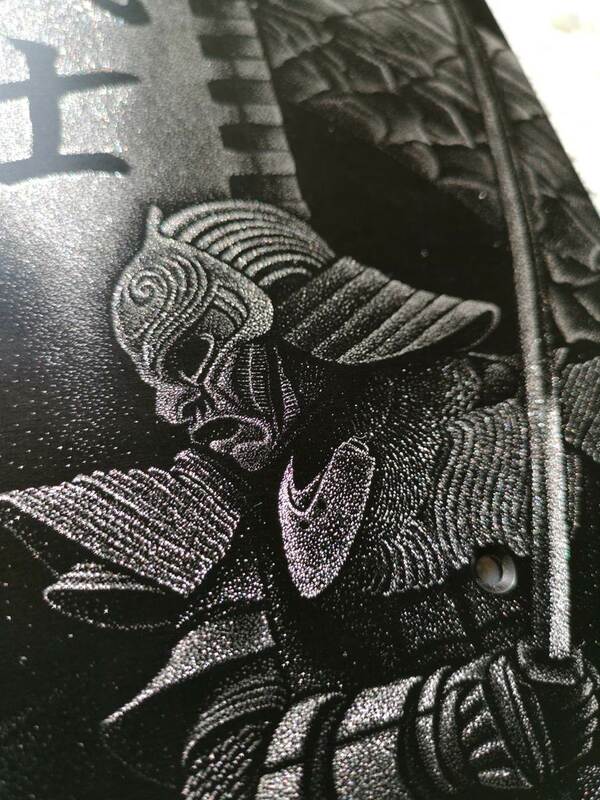 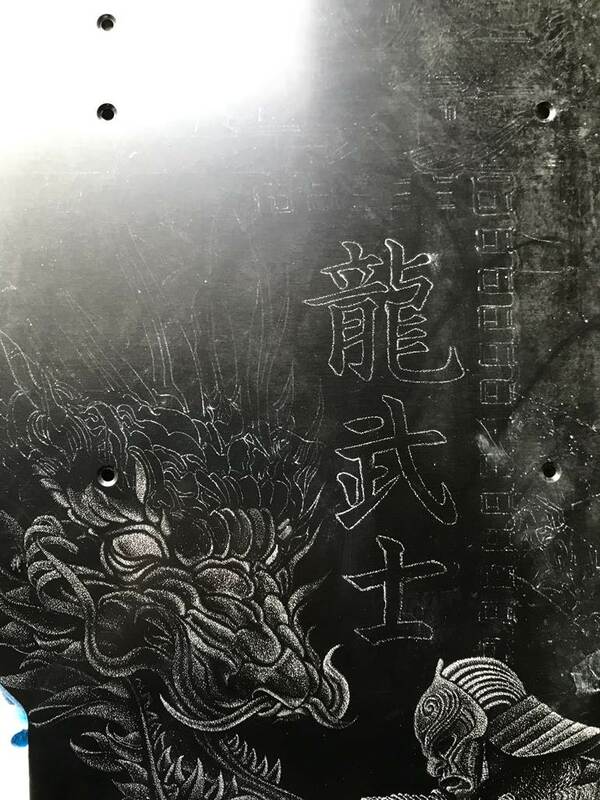 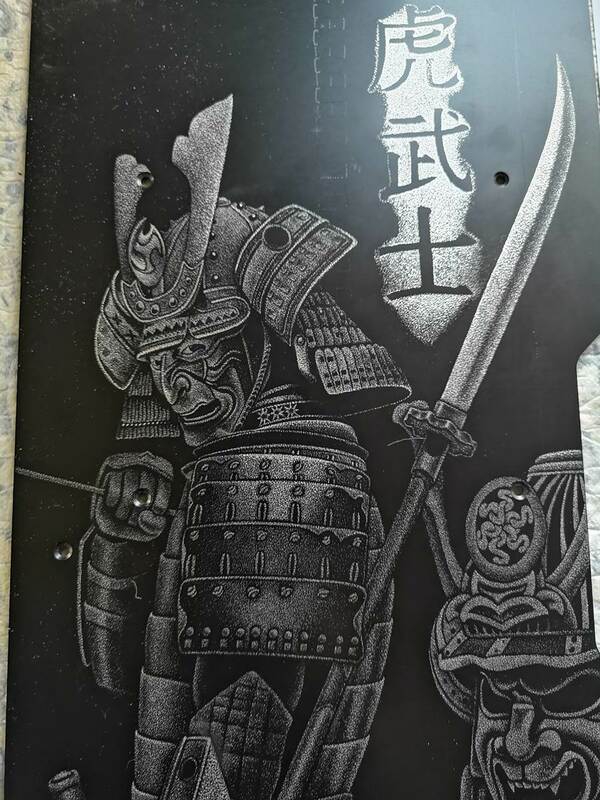 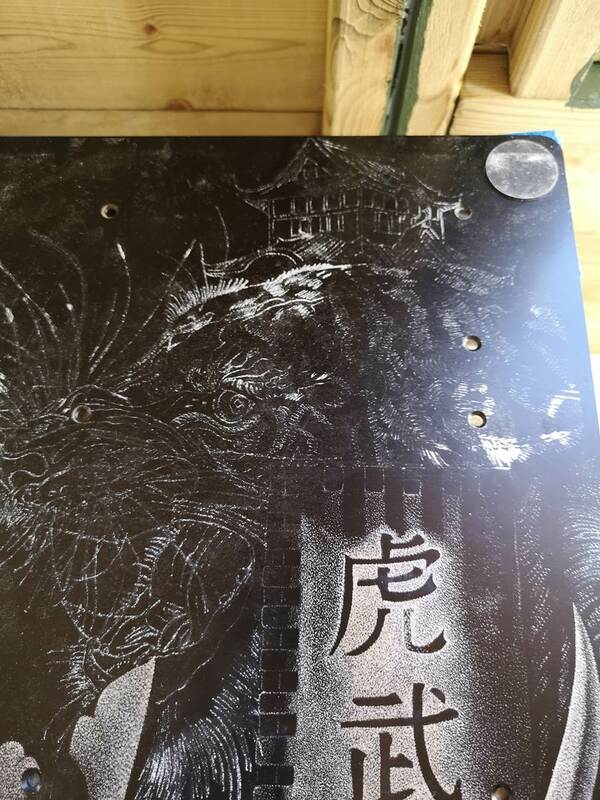 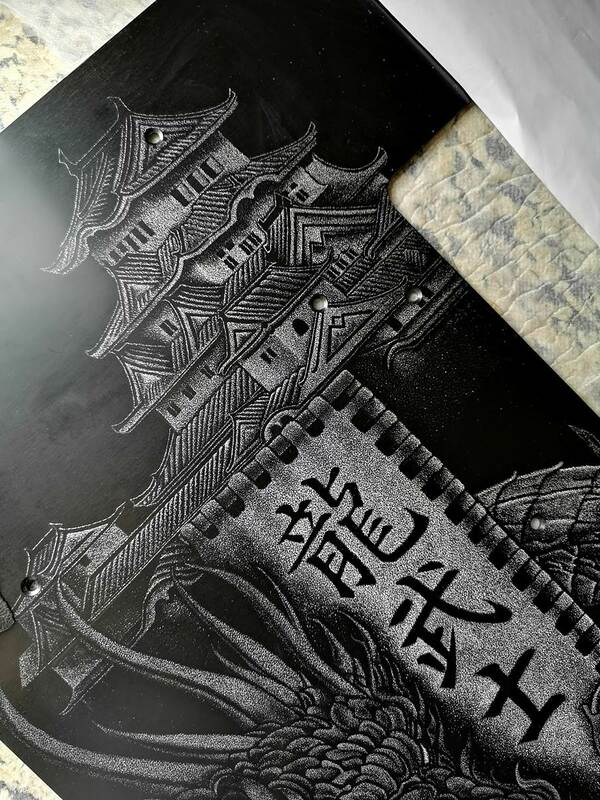 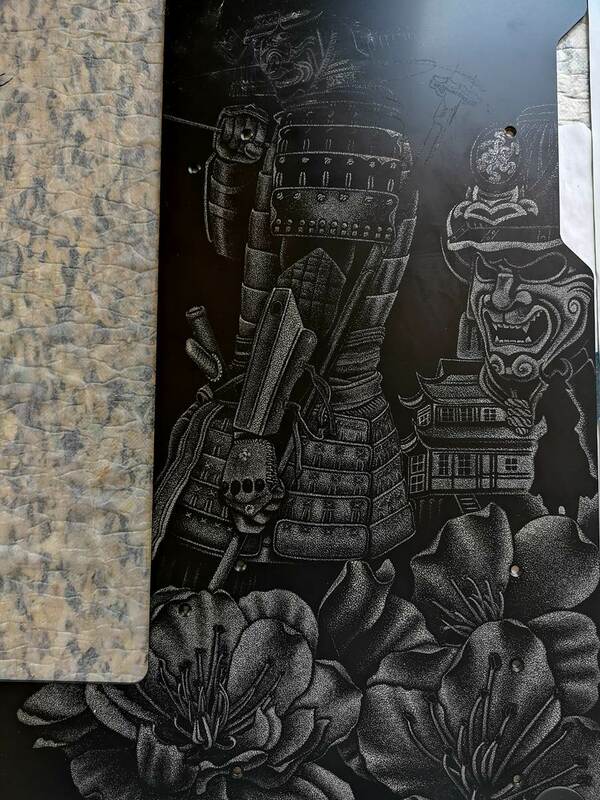 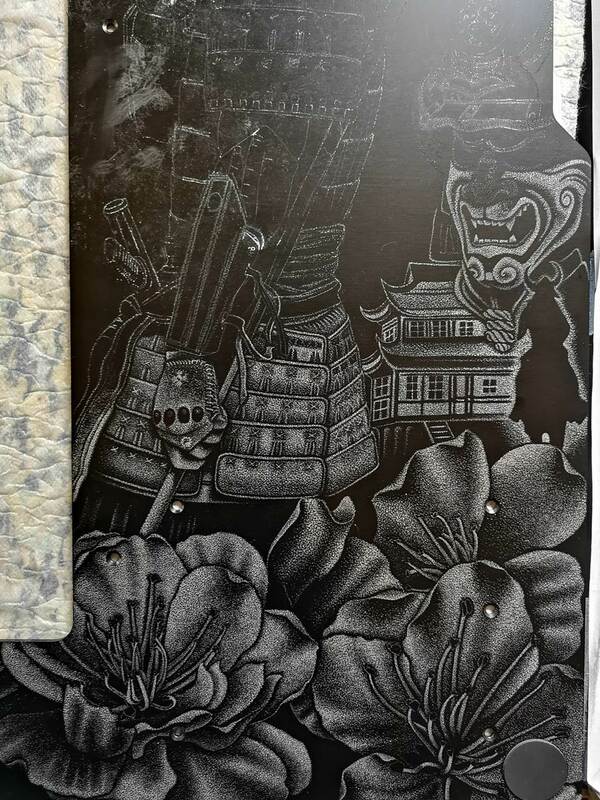 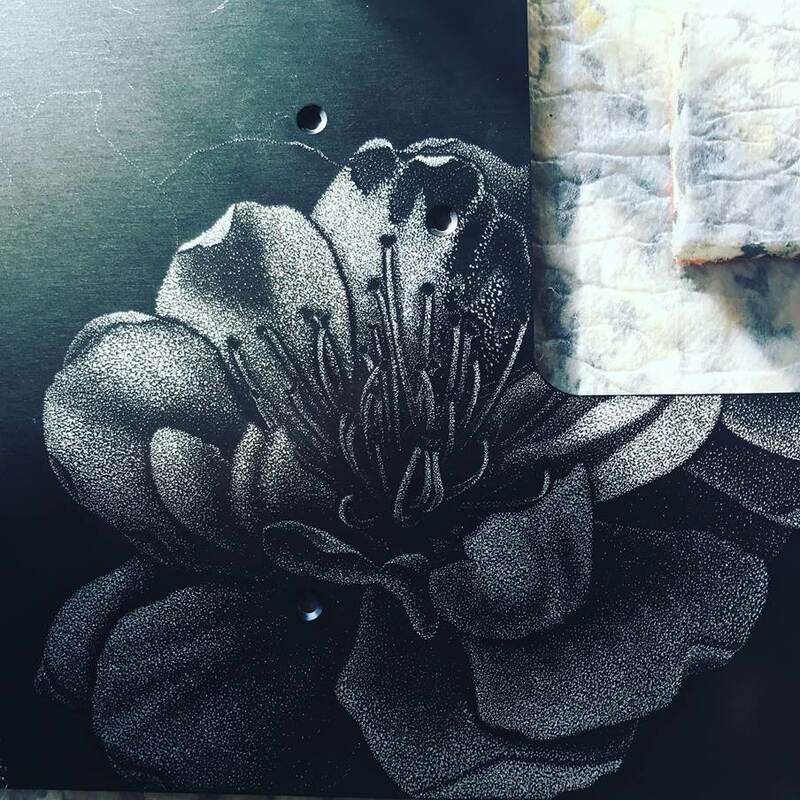 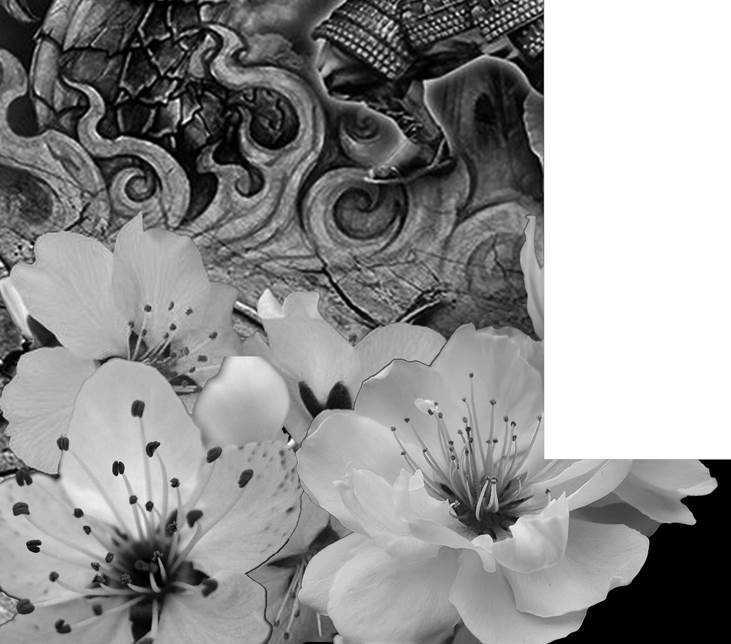 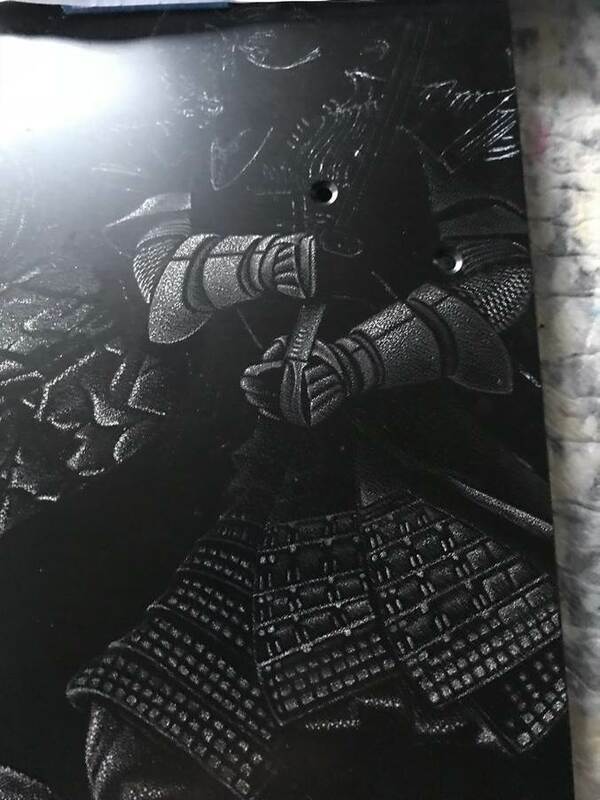 This project is going to be a labour of love, not only will it feature a lot of engraving by my wife, there will be also a heavy theme on samurai inside as well as engraved on the outside. 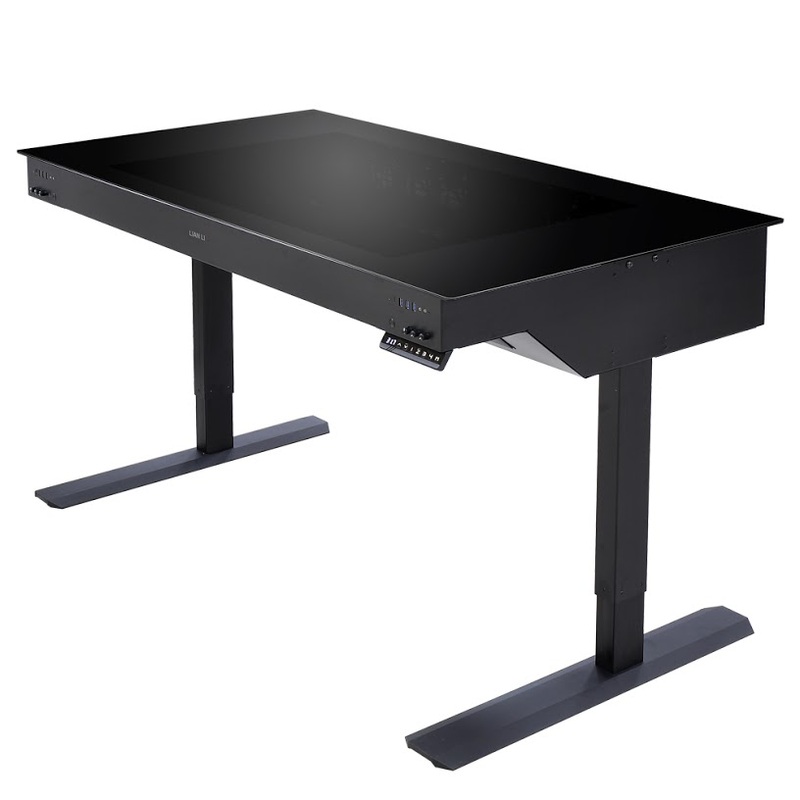 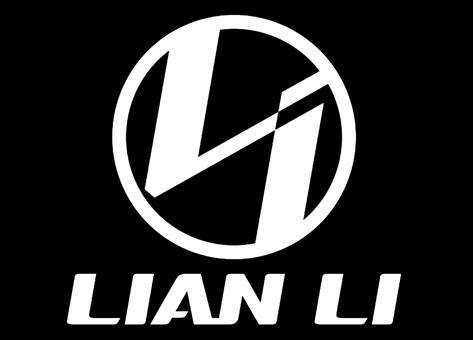 A very very huge thank you to Lian Li for supplying the desk for the project, was honoured to be offered it so thank you. 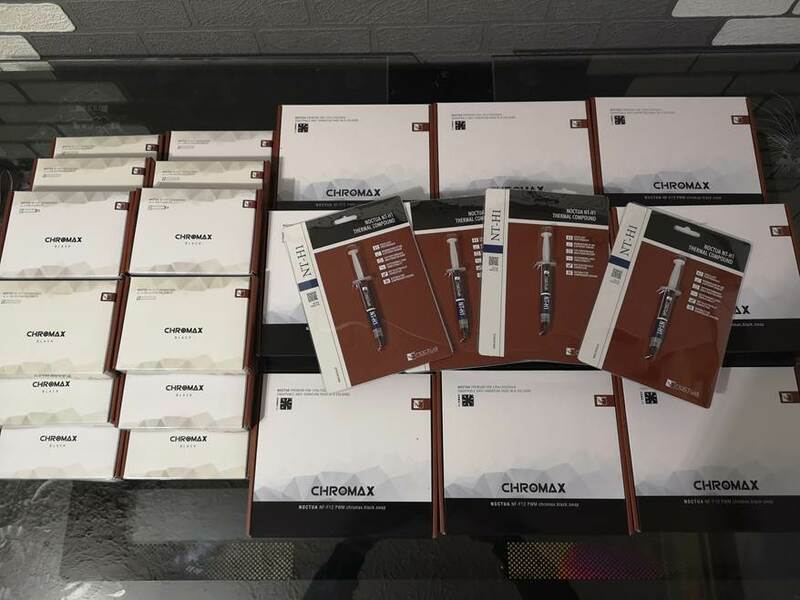 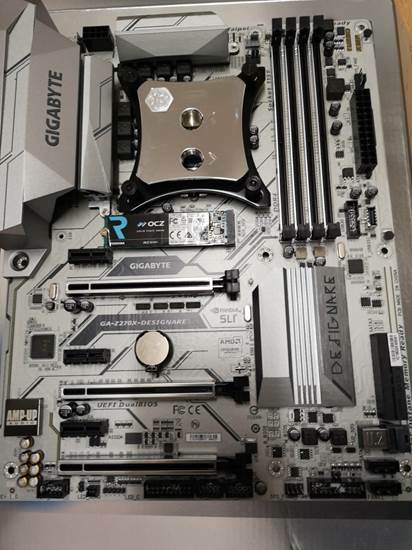 As some of you know from previous mods gigabyte have supported me with motherboards on projects so again thanks to them for being involved and helping out. 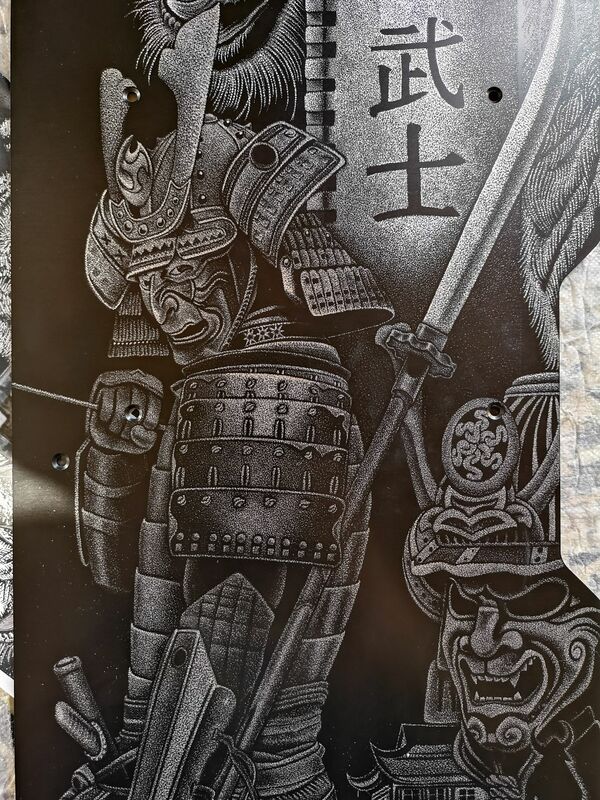 A big thanks to Toshiba for coming on board on this one too, with not only the OCZ m2 drives but some SSD’s too. 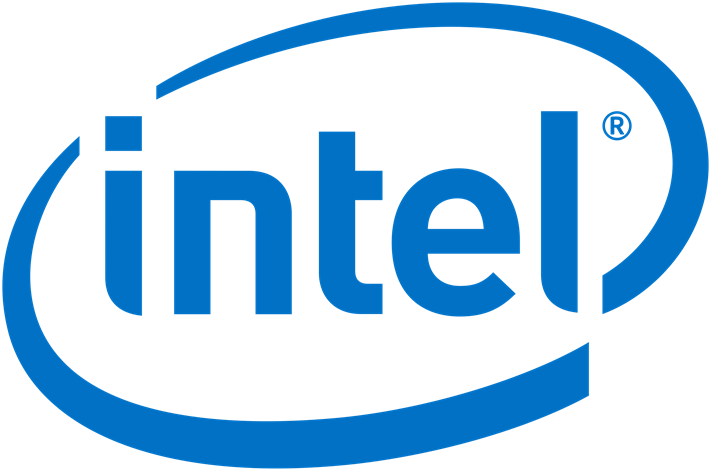 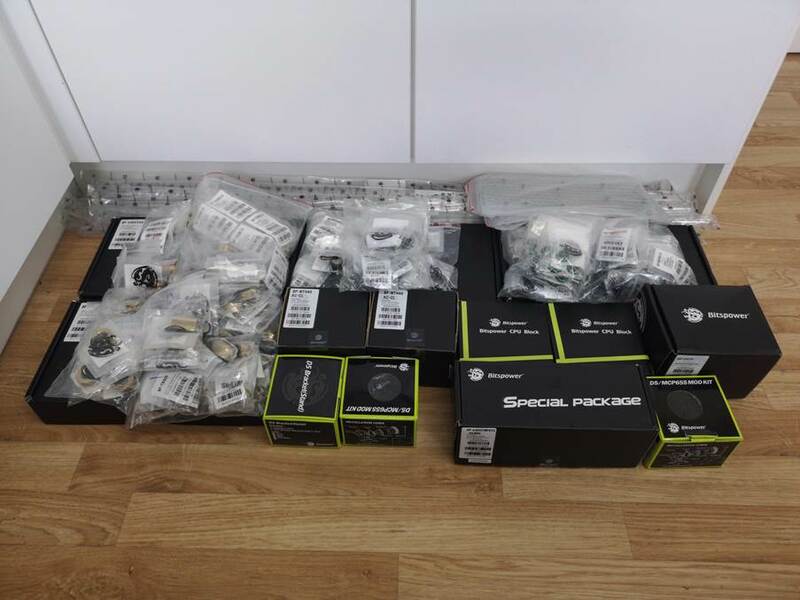 Thank you to bitspower for supplying all the watercooling fittings, pumps and blocks for this. 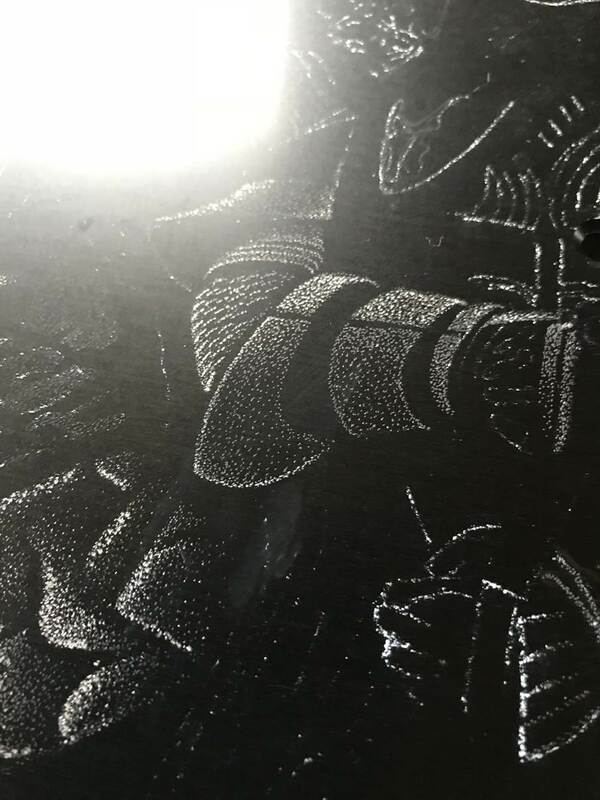 Dremel need no introduction as they have been around on all my builds from day one. 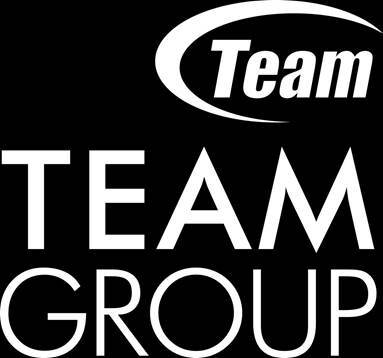 A big thank you to TeamGroup as well for supplying the memory for both rigs. 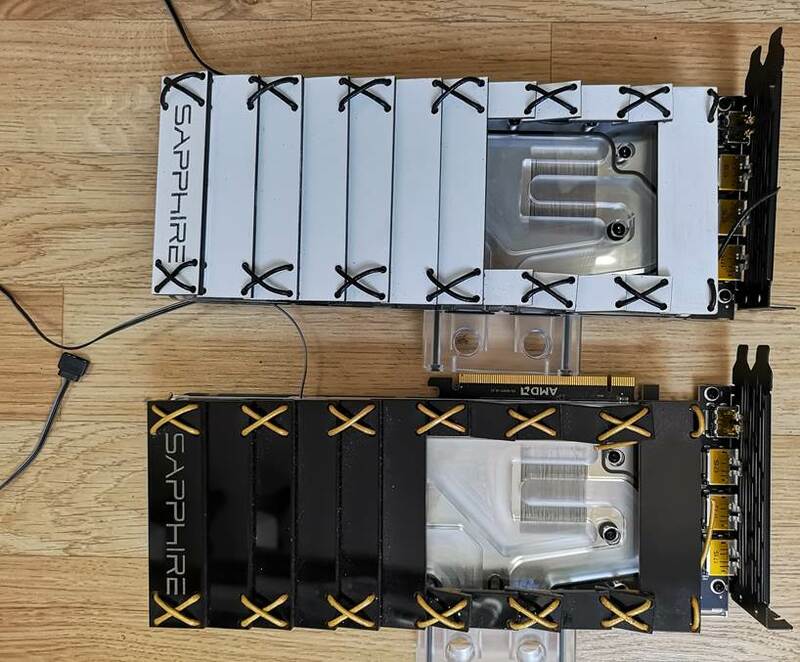 Of course two rigs are going to need two PSU’s so thank you to Seasonic for stepping up..
A massive thanks to the Mayhems team for supplying my custom colour mixes for this project, amazing work as always. 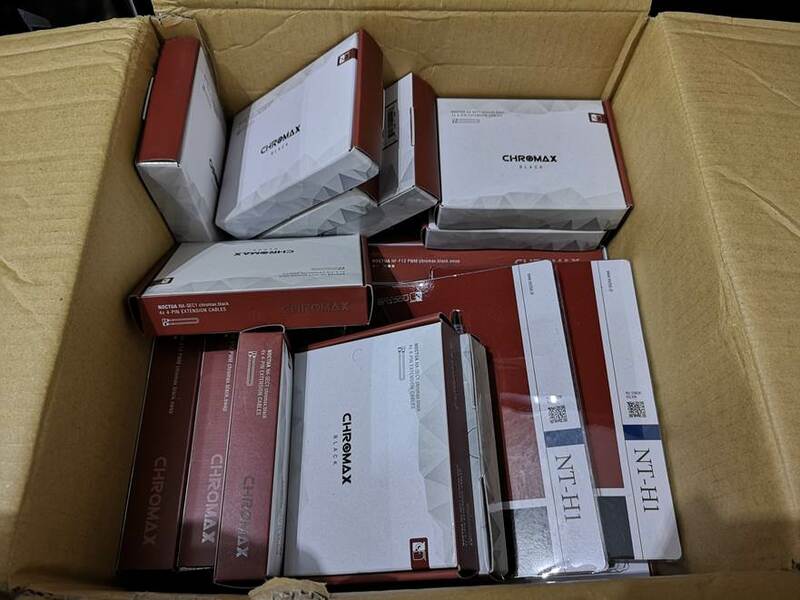 A big thank you to western digital for supplying some Red drives for the NAS. 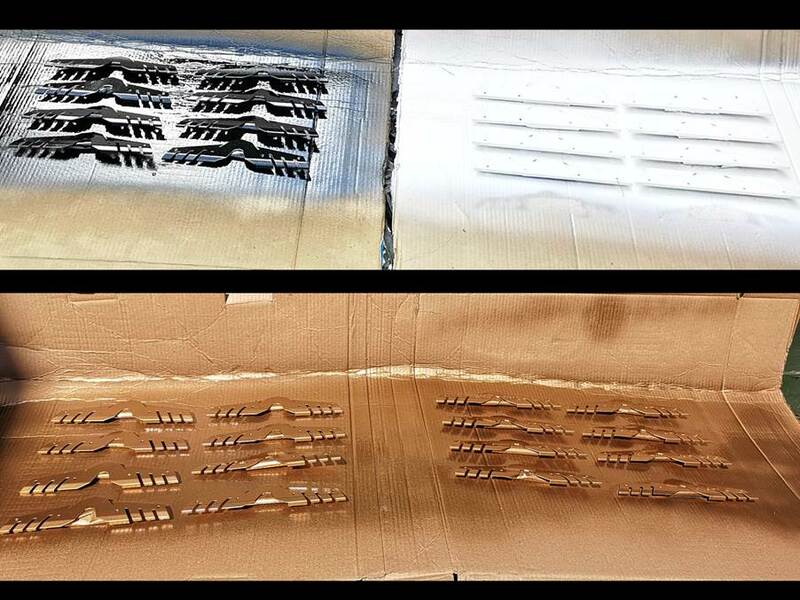 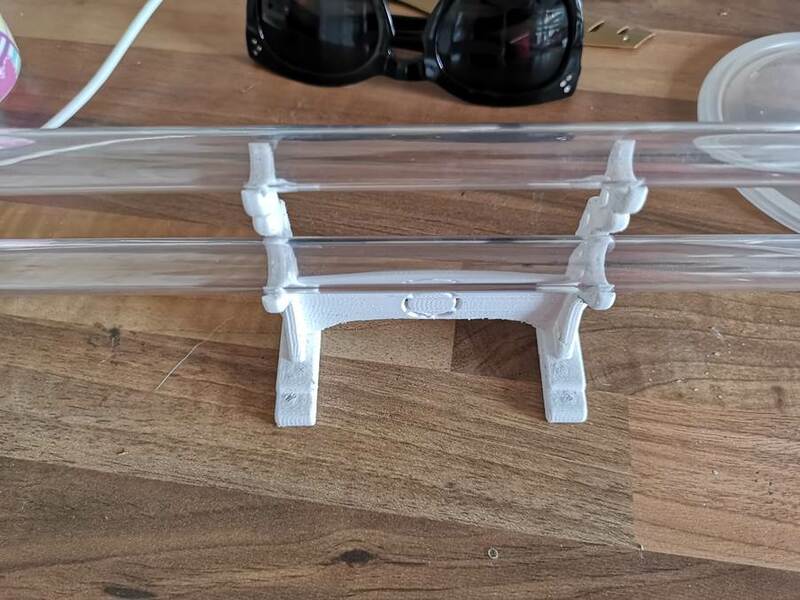 A big thank you to Aqua Tuning who stepped up to supply the crossflow rads. 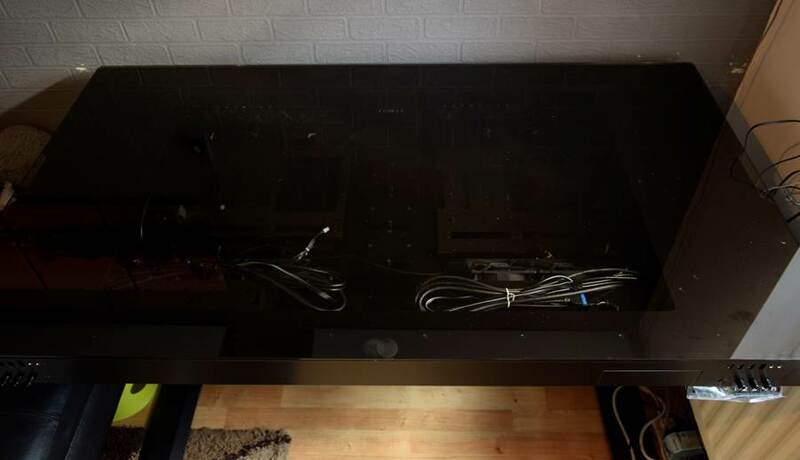 A big thank you to Edifier for supplying the sound bar and sub for the desk. 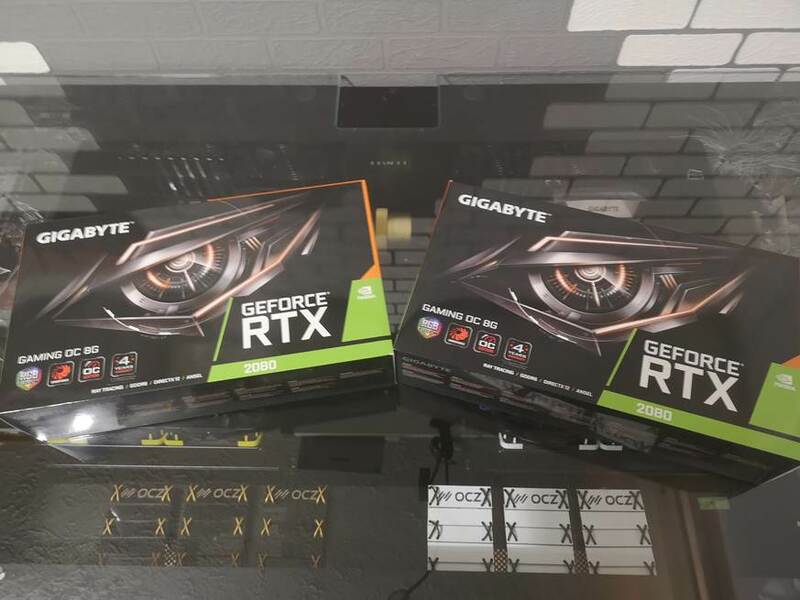 I must say again I have to thank the sponsors BIG TIME on this build for coming on board as it basically means they are supplying double the amount, no pressure to deliver then. 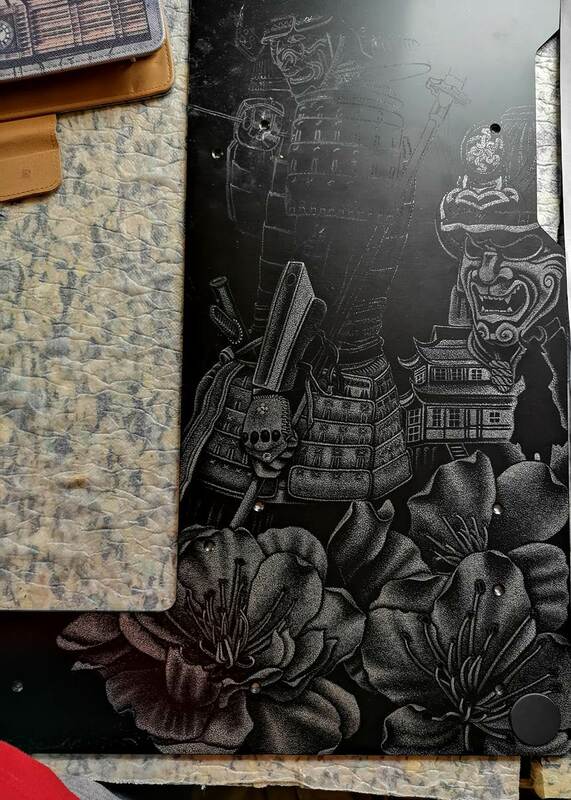 First off here is the case in question. 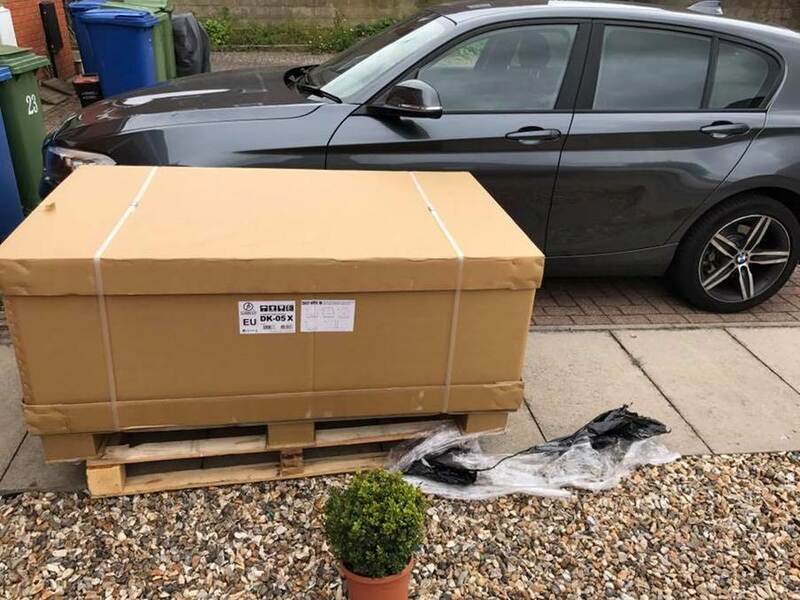 Looks great, then when it arrived, well it is huge, here is packaging next to my 1 series. 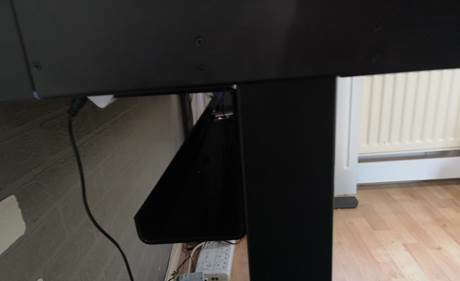 Funnily enough the desk comes in two boxes, one for the feet and one for the desk itself. 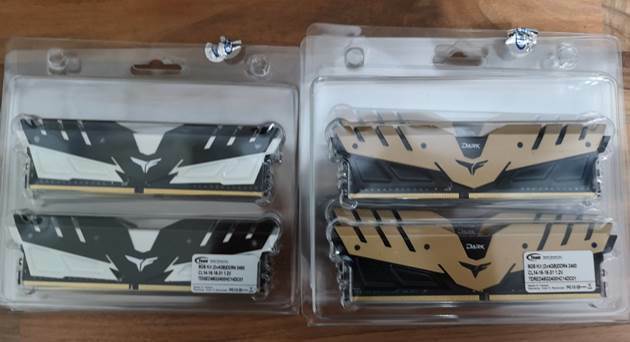 This was the lighter of the two boxes, the second box was not so light. 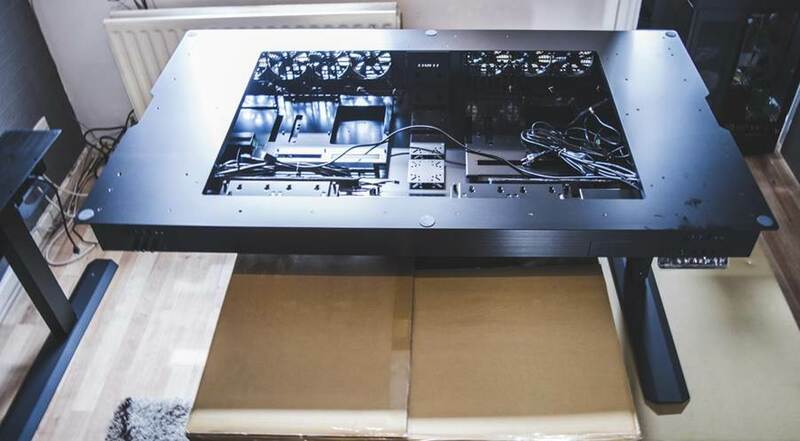 To assemble the case we have to lay the top section on top of the two boxes, then attach the feet. 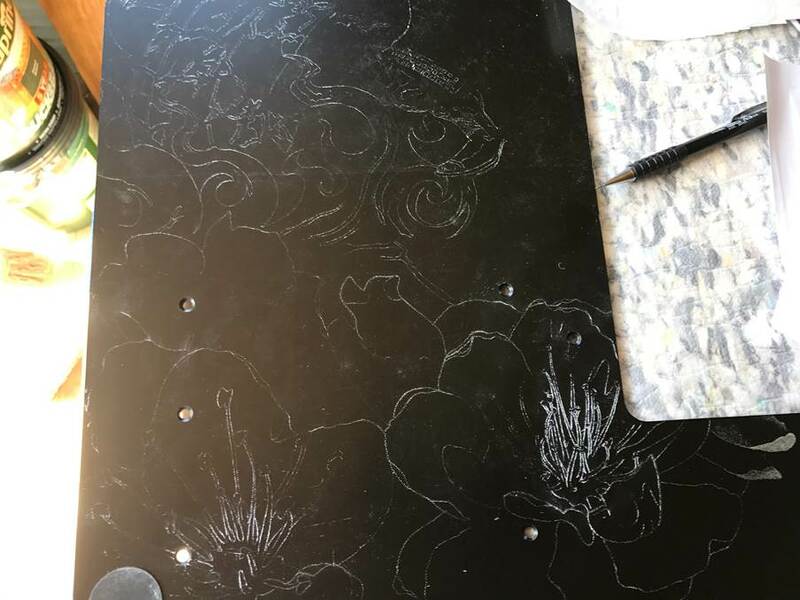 For now that is the start of this build as I have to finalise the design for the engravings on the outside, once I have I will post an image of the plan to give you some idea of what is going to happen to this desk. 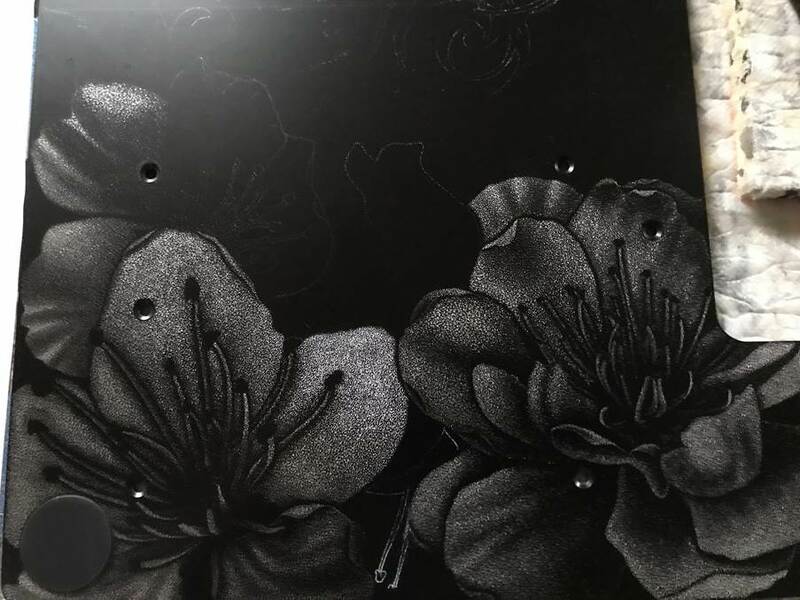 So another small update and in general, most are going to be quite small until engraving is done, actually got started and so it begins. 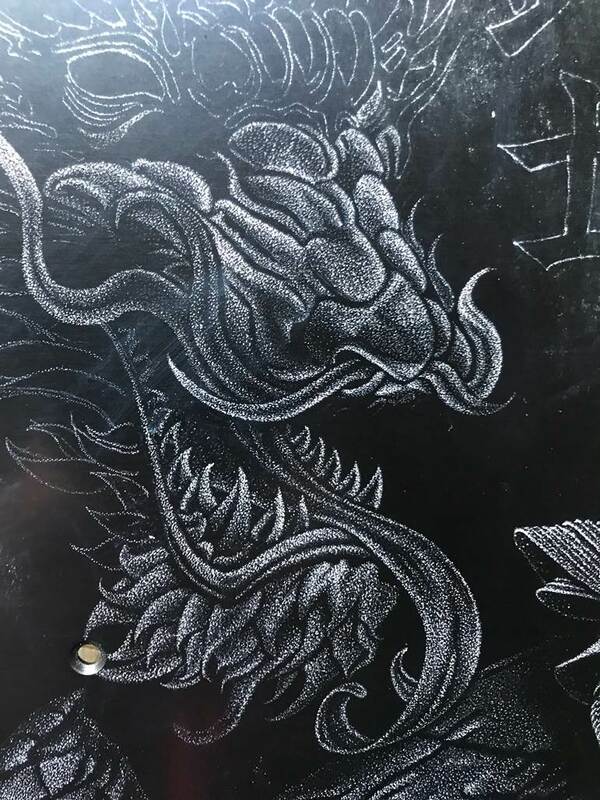 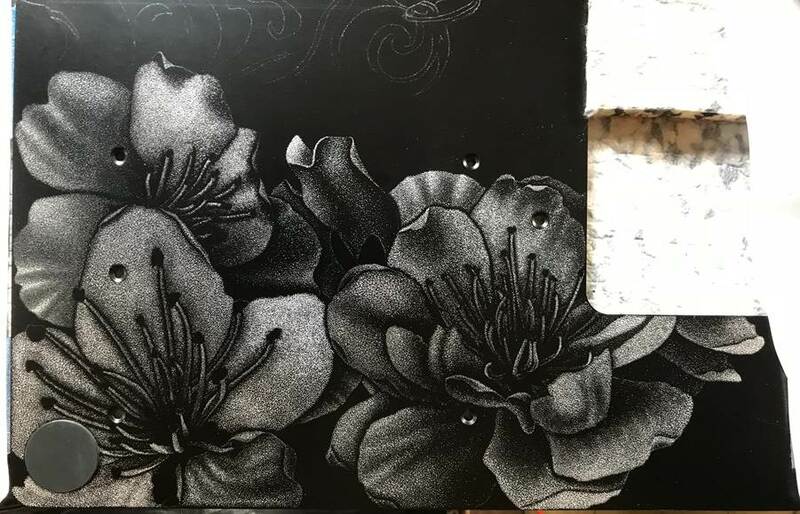 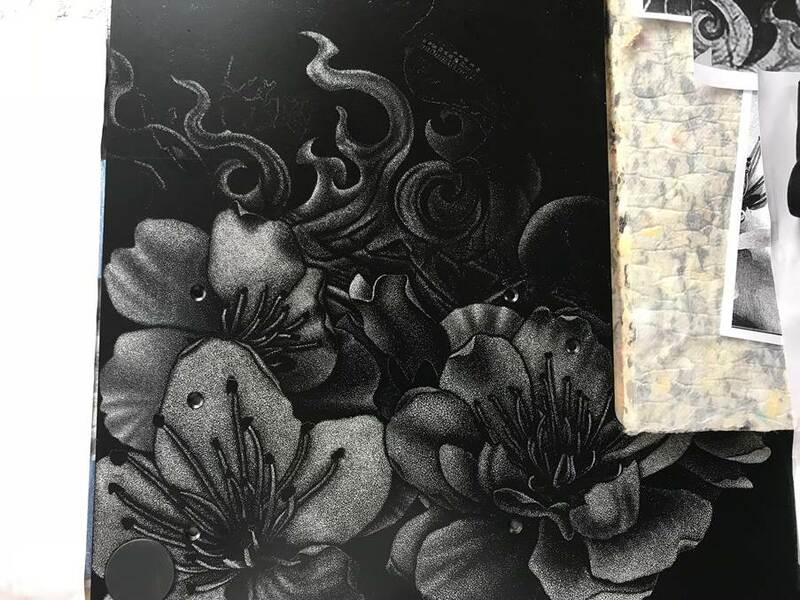 I can not take credit for the engraving as its my wife that does this part, she asked to try and apply dotting as shading one day and let us just say the rest is history on that, I will add more photos as the engraving progresses of course. 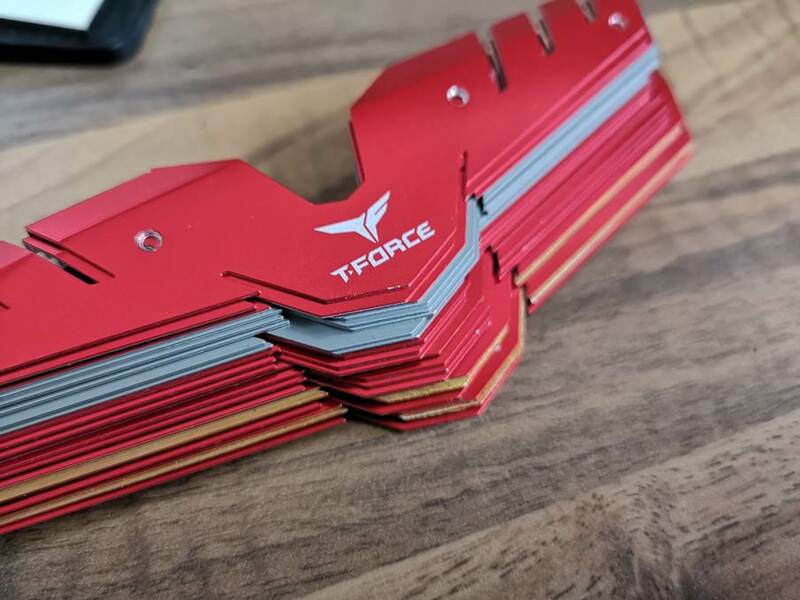 Another update for you guys, first showing you some stuff that turned up for the build. 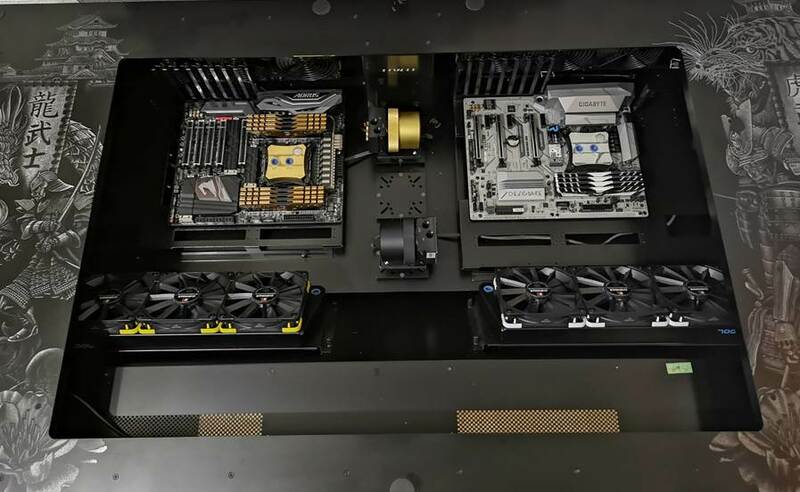 First up the PSU’s, yes you did read that right as desk will be housing two rigs, it also need 2x PSU’s. 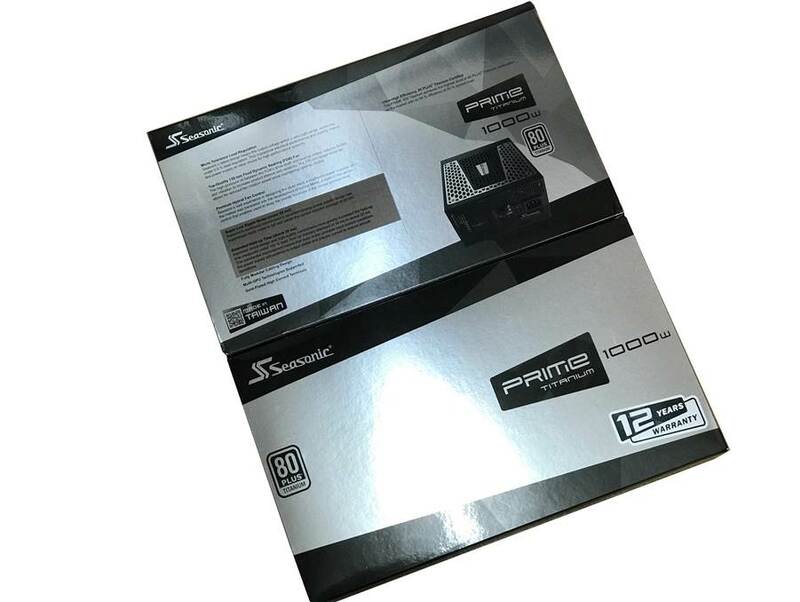 Seasonic stepped up here and provided 2x 1000w prime Titanium PSU’s for the build, solid and reliable power. 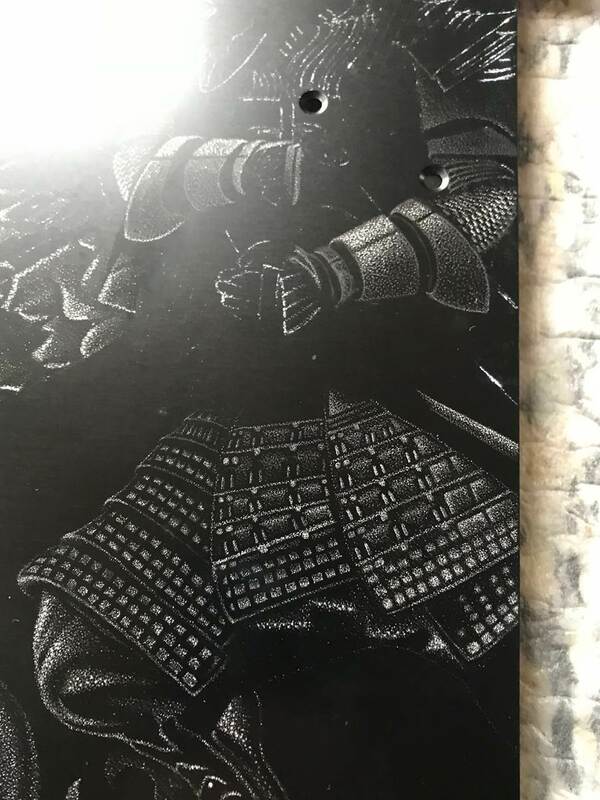 Ill add some more photos of items when opened. 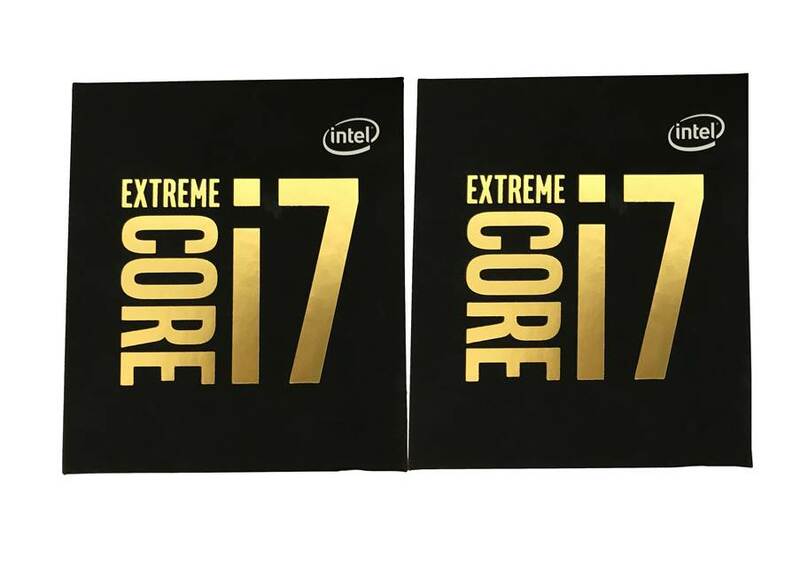 Next up was the gift from intel and very lucky gift indeed, it had me made up. 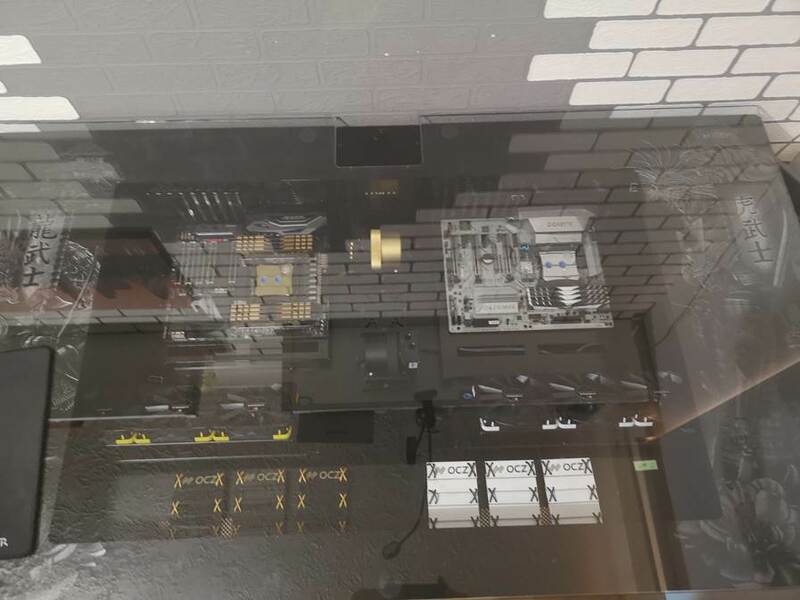 So both rigs will have almost identical processing power for this build, going to be a long ride I am thinking at the end with final pics and videos. 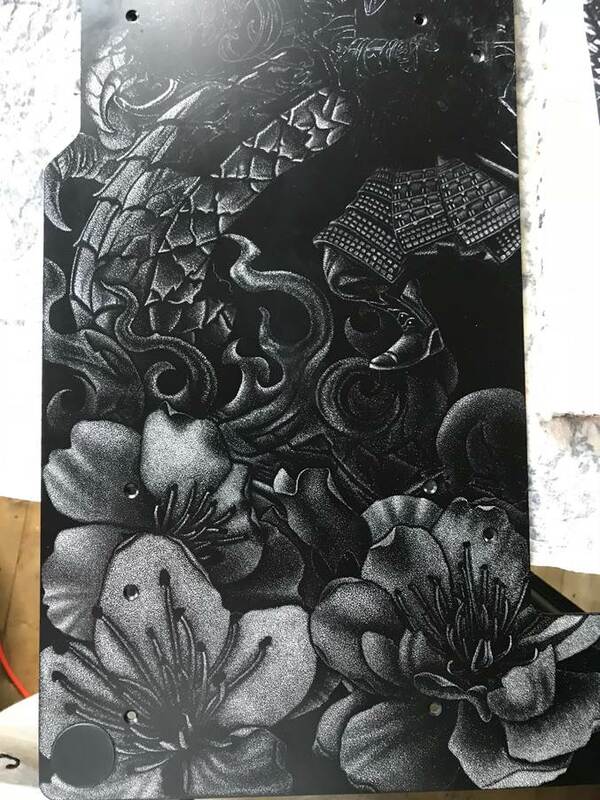 And last of course and not least, before we go of course a little update on the cherry blossom flower shown in previous post being finished. 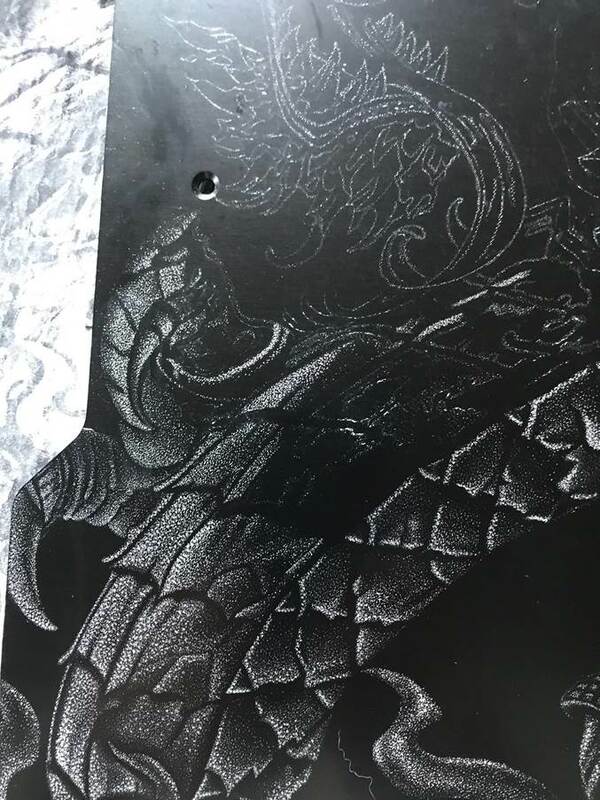 Only 5 of these left to go and onto the main imagery after that, but going on this alone it’s going to all look amazing when put together. 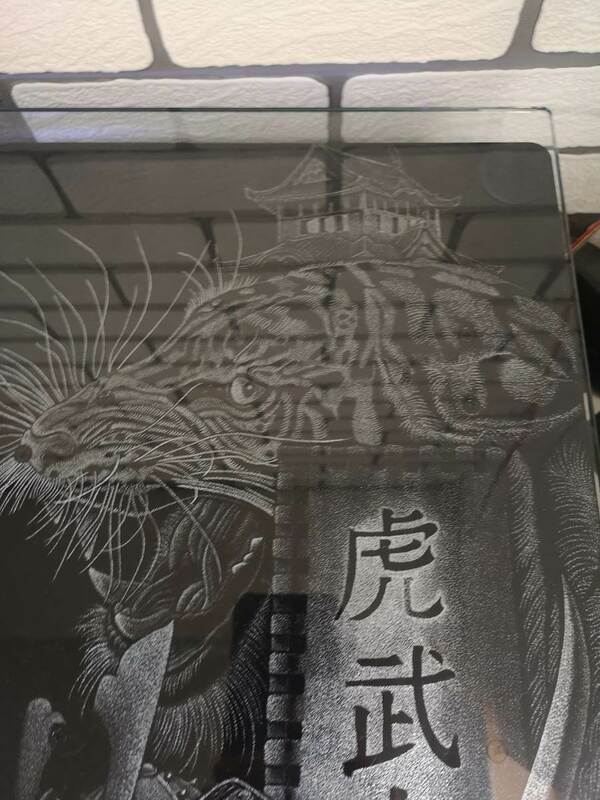 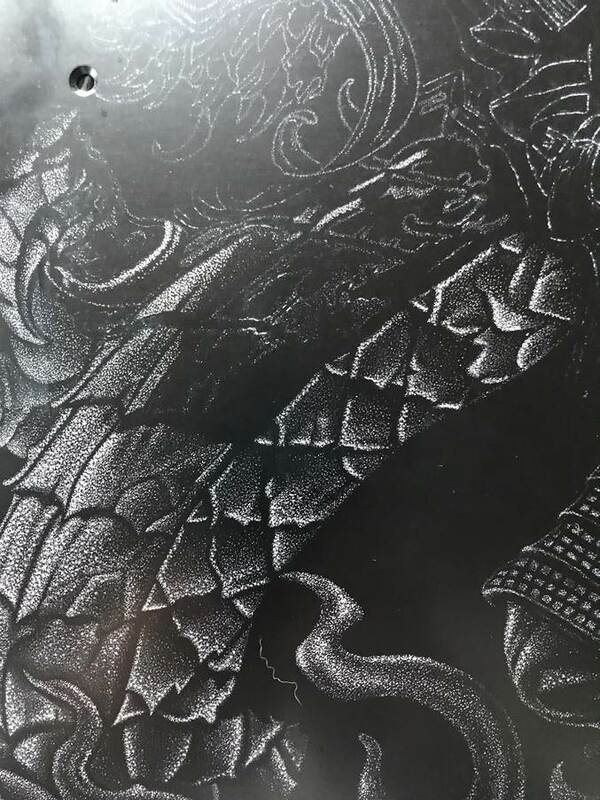 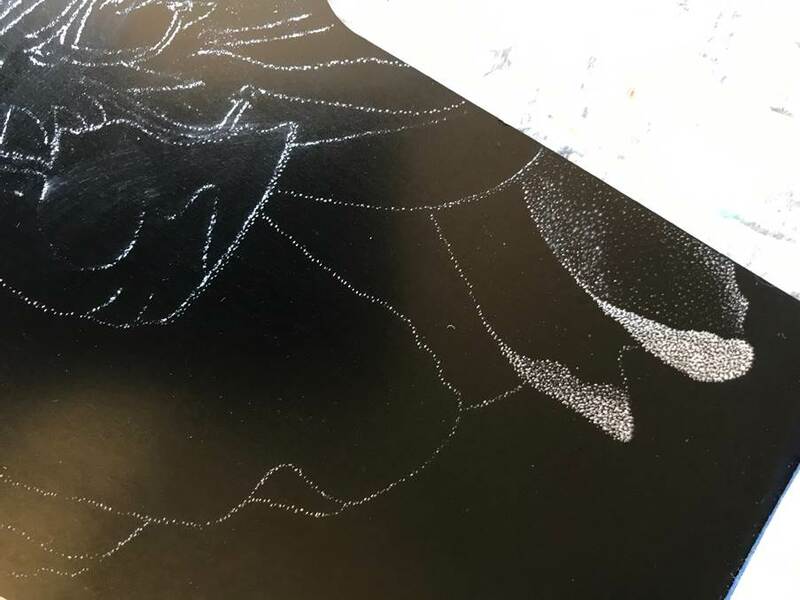 Back again with another small update, as you know this dot shading engraving takes a while and you can clearly see that it is worth it in my opinion, the bottom of the engraving is coming out great. 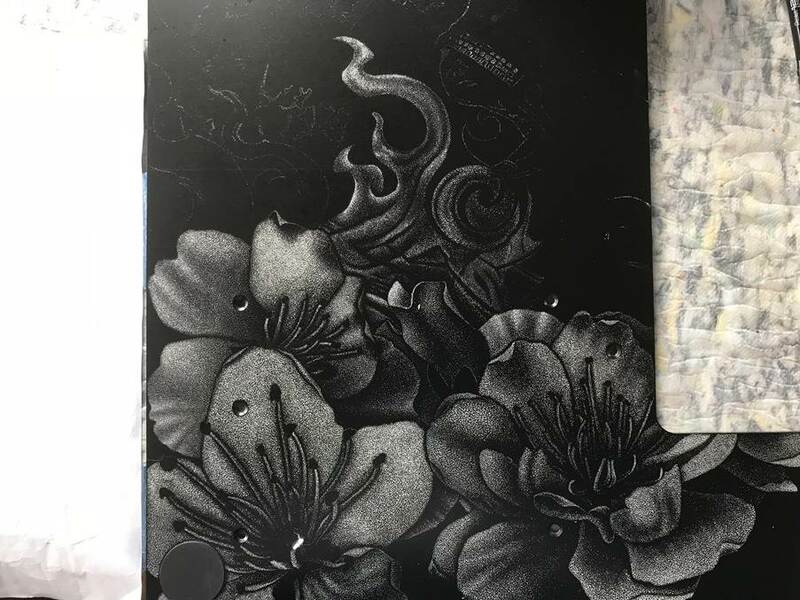 Wanted to share this before, but I thought I would wait until there is another image of more progress. 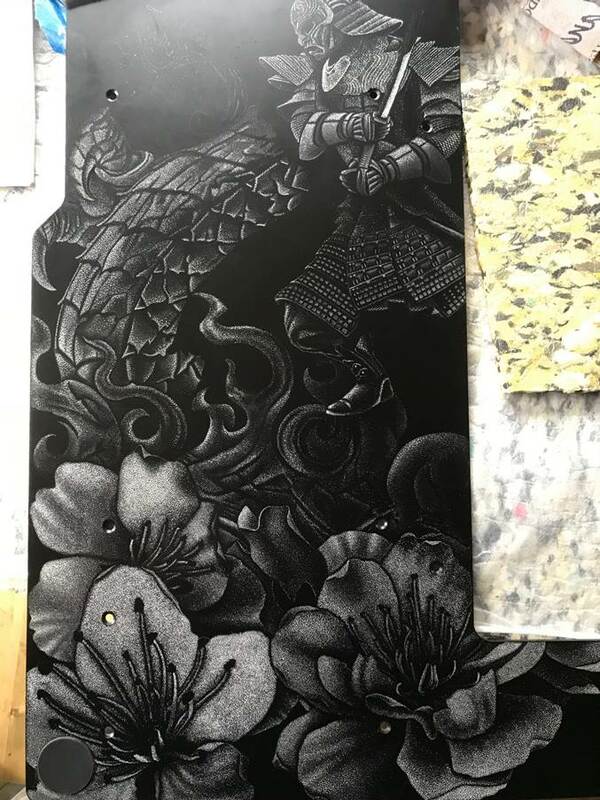 I am completely blown away myself, just more amazing every day, this is going to be a superb art piece by the time its finished. 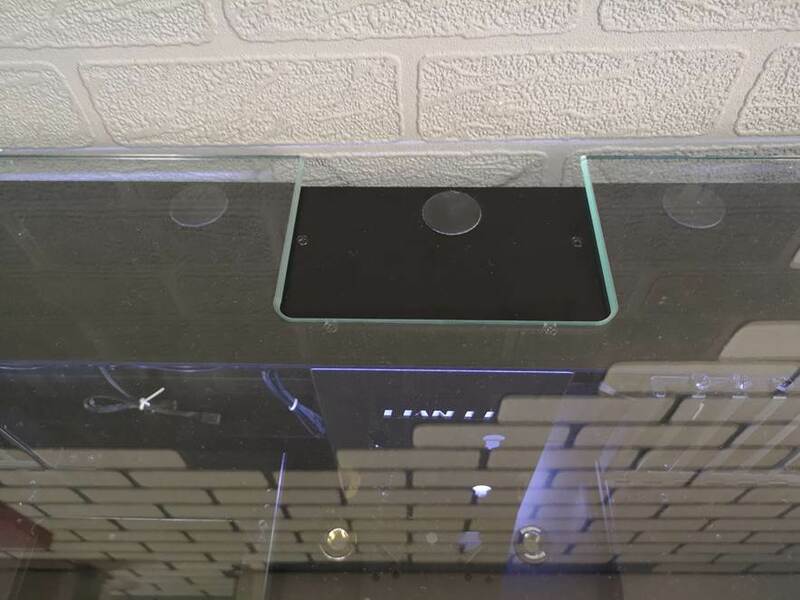 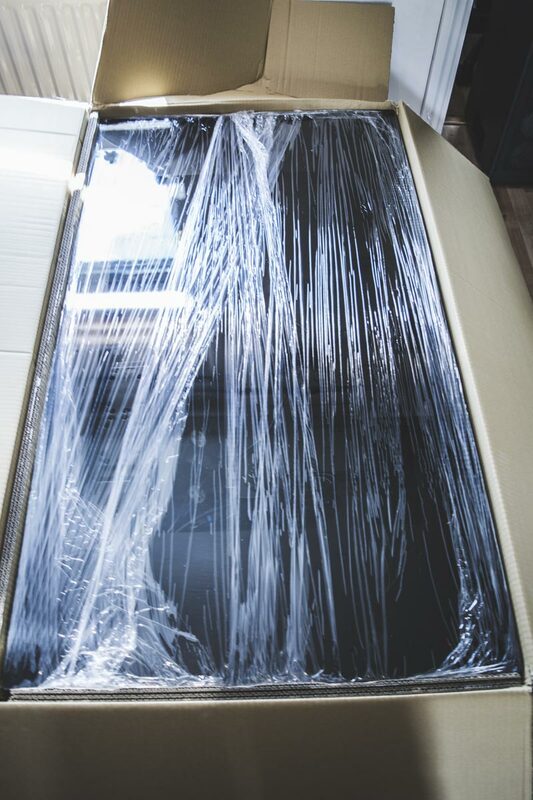 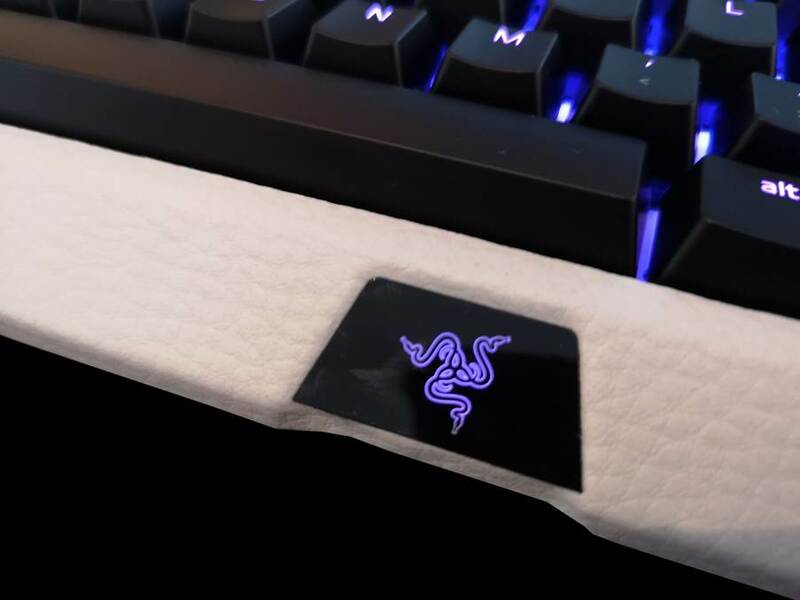 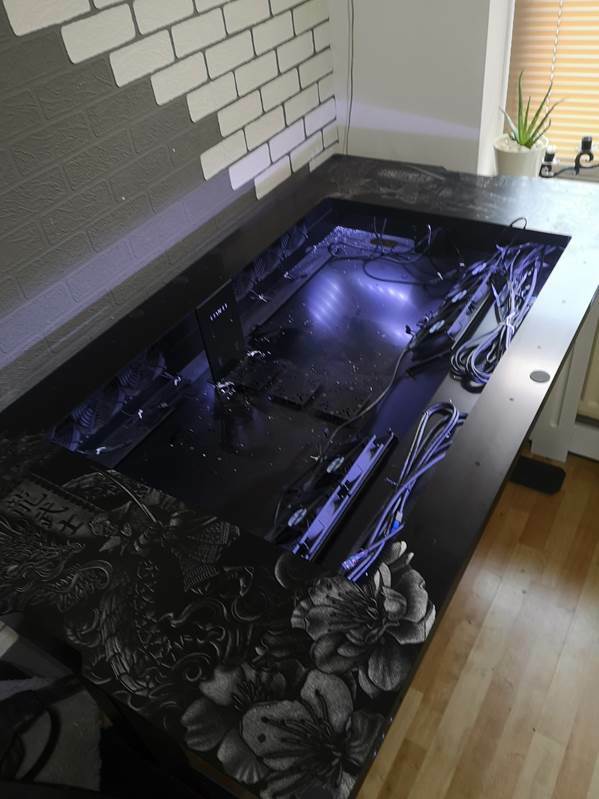 Lastly but not least, here is a sneak peak of a packaged that turned up from razer supporting this desk build, I have worked with them before and thought even with that asking for 2 of everything was a massive ask. 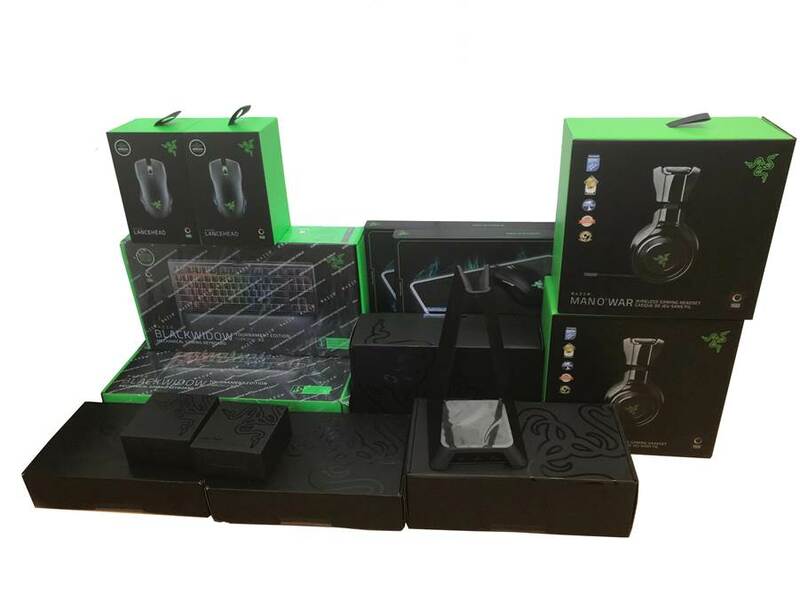 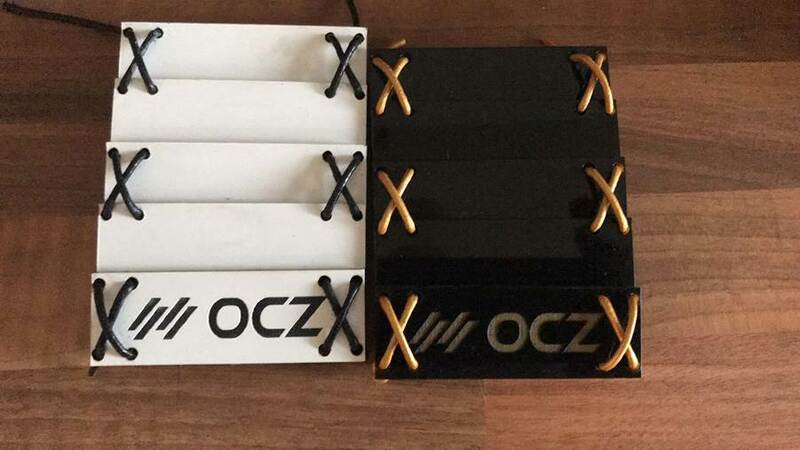 They stepped up with two tournament v2 keyboards, 2x wireless Lanceheads, 2x Wireless manowar headsets, 2x mouse mats, 2x base station (head phone stand and usb hub with razer chroma in base). 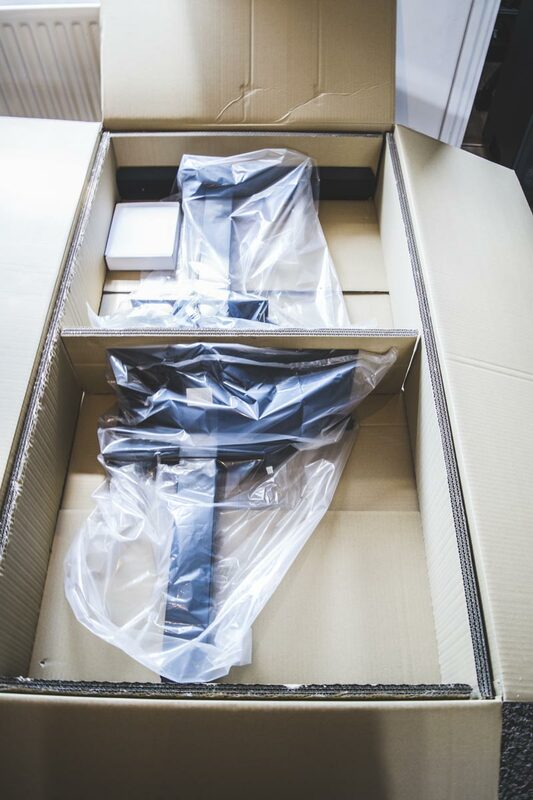 Last but not least I got sent 2x development lighting kits for the project, feeling blessed. 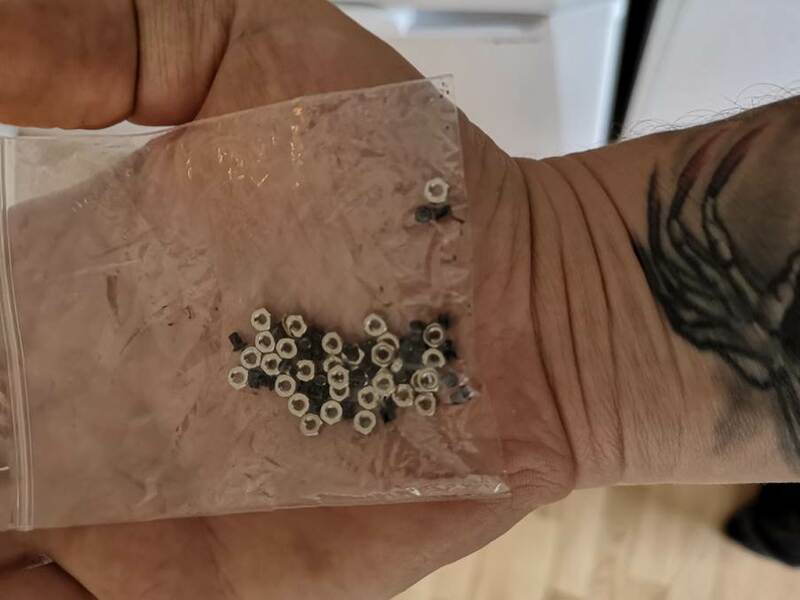 I will post some pictures of the stuff properly and others as they turn up. 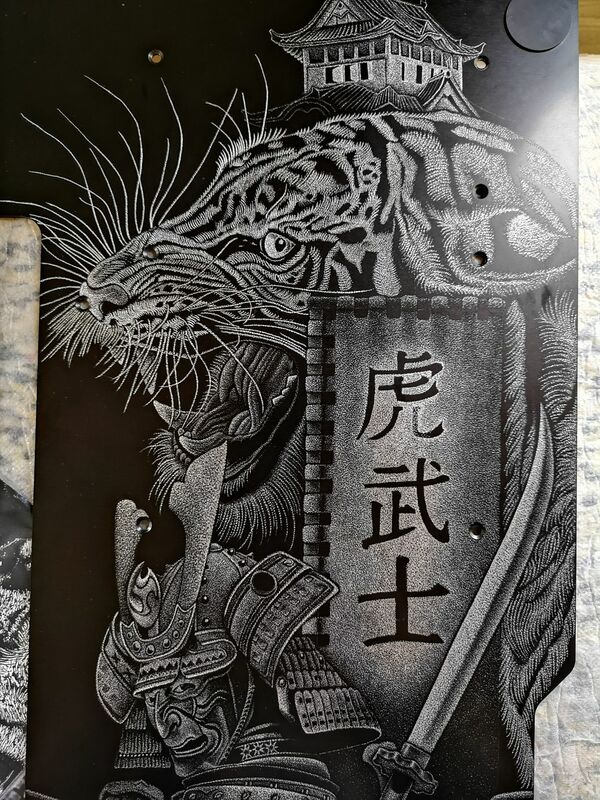 Still doing some 3d work to finalise my block cover plans, SSD cover plans ect before I post them. 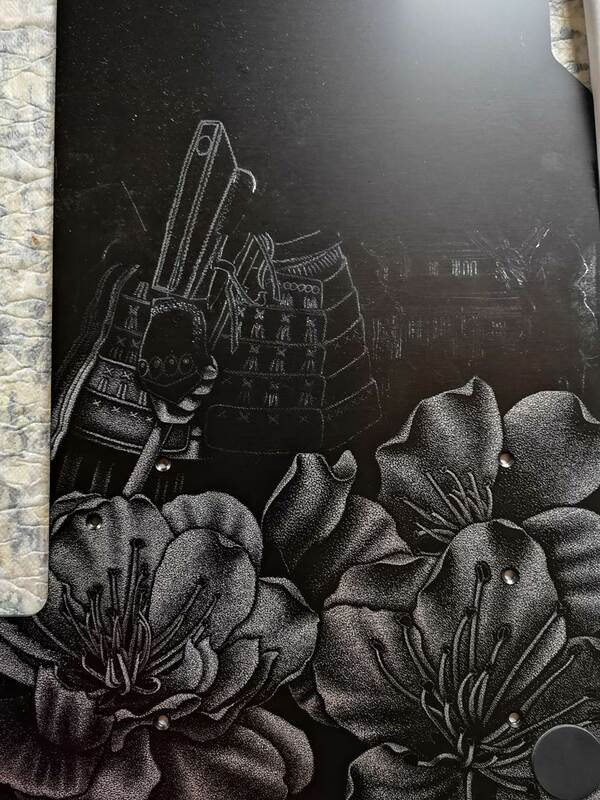 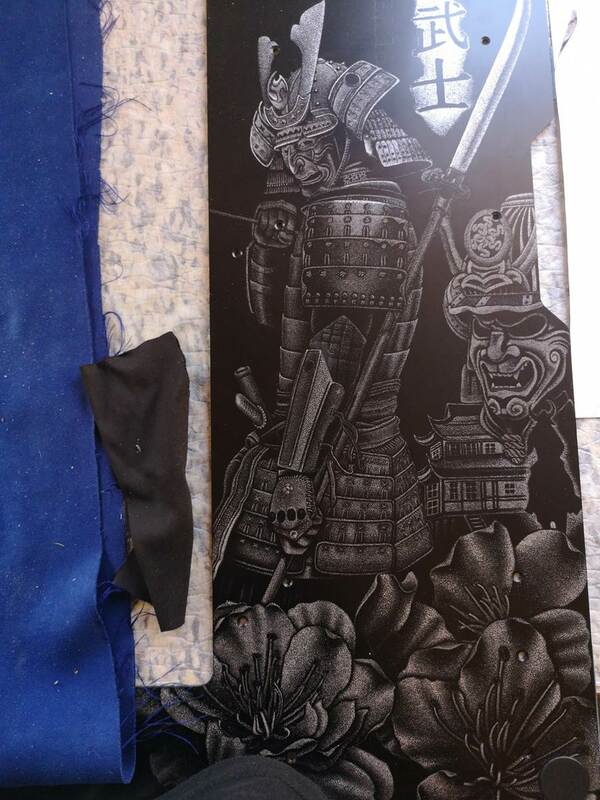 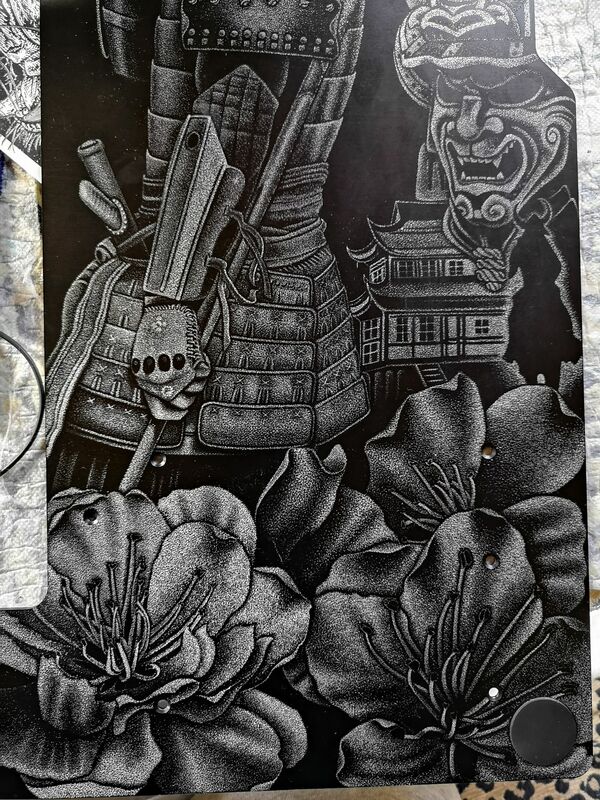 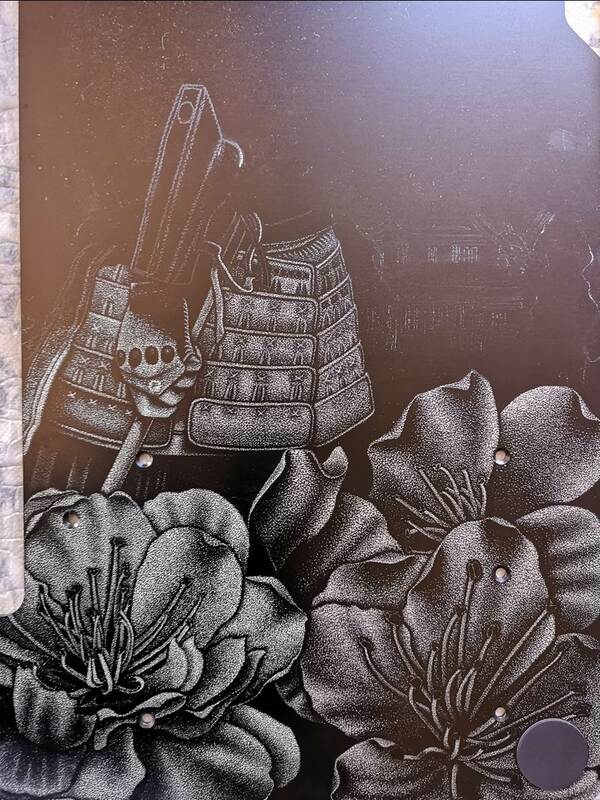 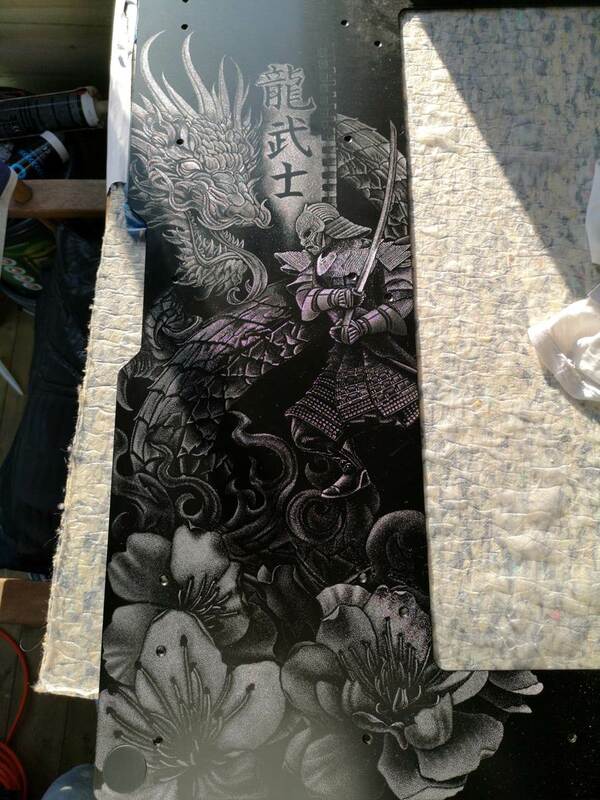 So been a while, but was waiting on some new tips from dremel, some more work has been done on the engraving and this is the result, finally flowers done and onto the smoke and then one of the samurai. 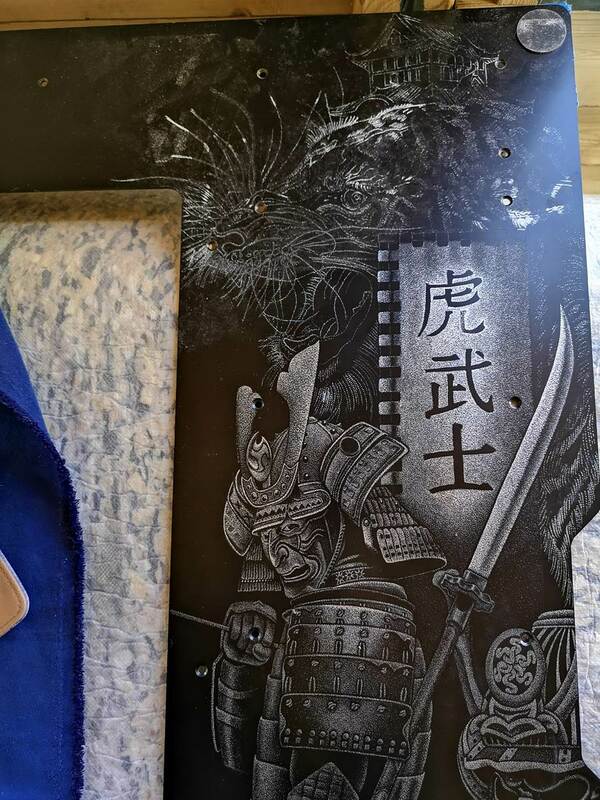 More to follow soon, and its coming out amazing, also thought I would also spill the beans on the design (subject to change of course, but gives you a rough idea of what it will look like. 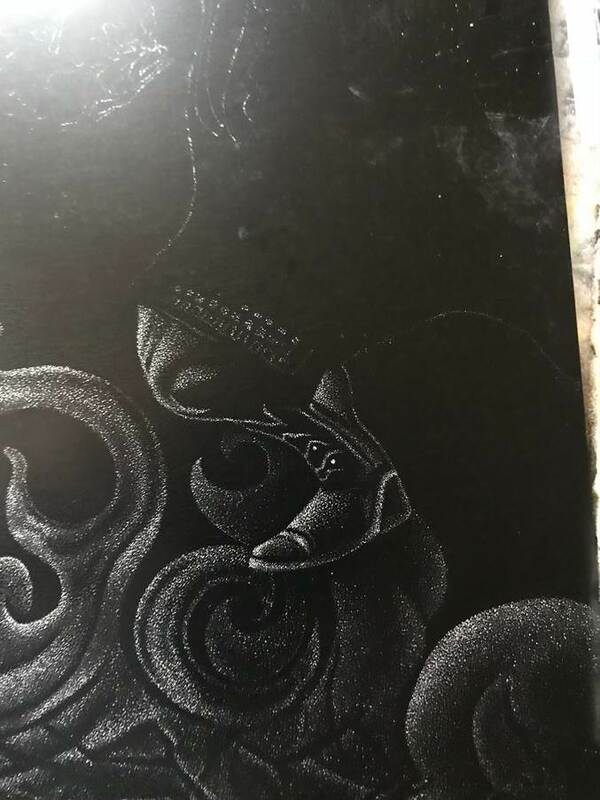 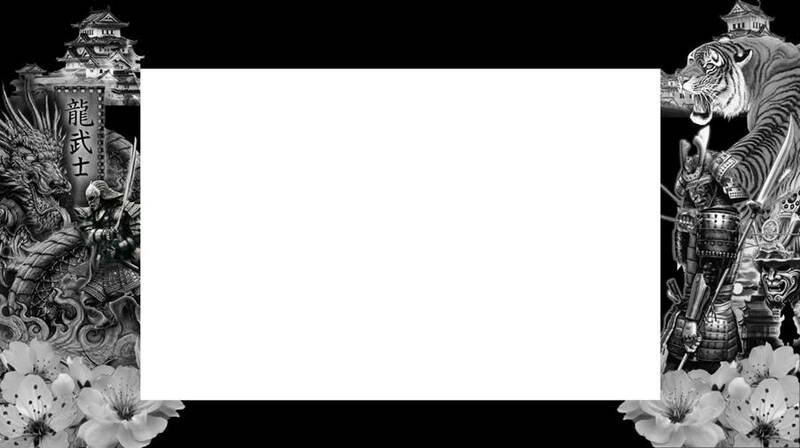 Was going to leave it as a surprise, but I thought I would share what is going to happen on the image side of things. 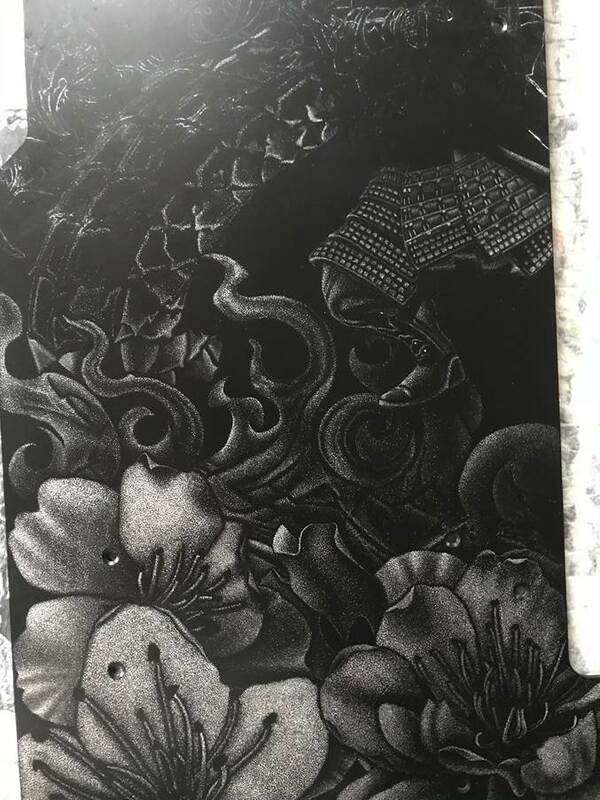 Wow an update??? 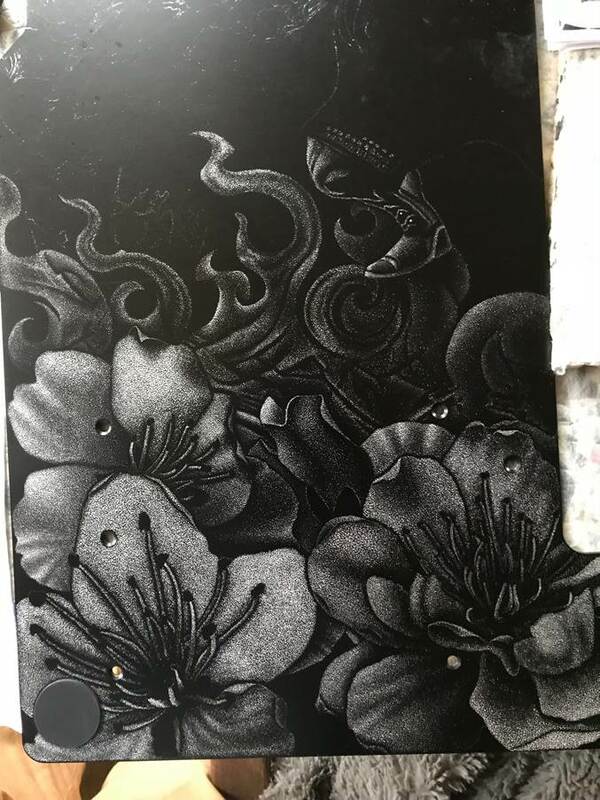 Well in truth its been a bit chilly to go out to shed and be engraving, so a nice little update on engraving now, as you know from last post we got as far as the smoke above the flowers. 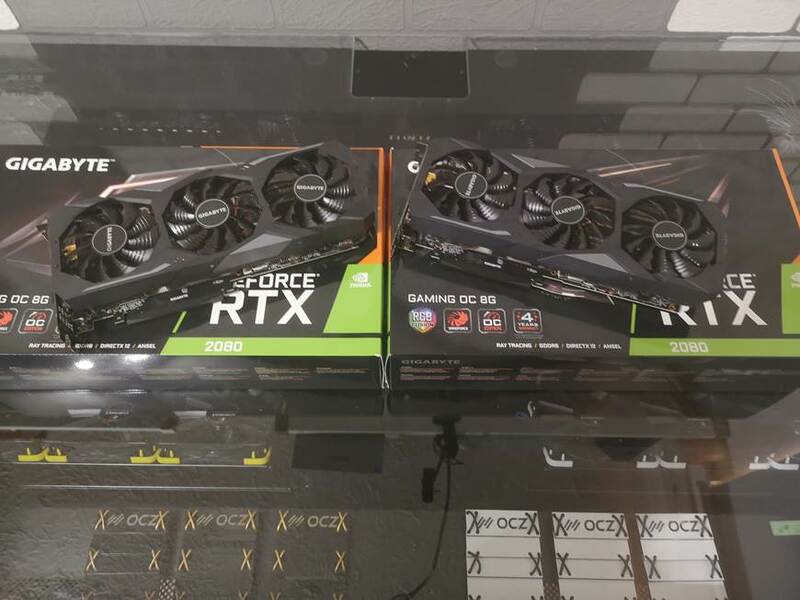 Well here is where we are now. 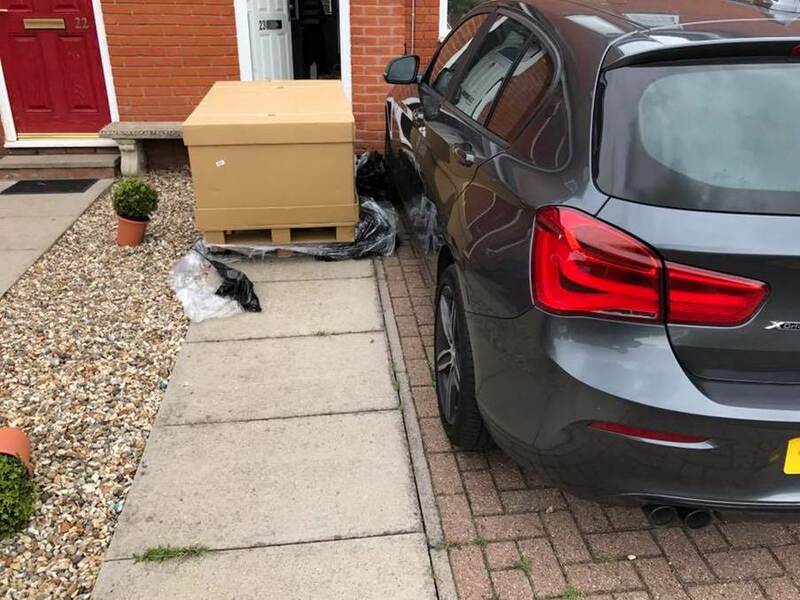 It’s been slow but I do expect it to move a bit quicker now, also had some great news on the sponsor front and have to say a massive thanks to sapphire for stepping up on this. 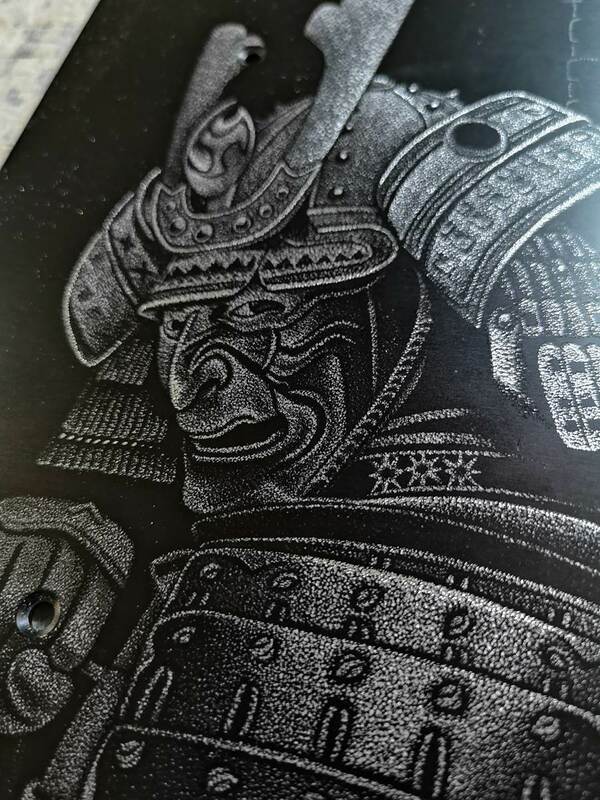 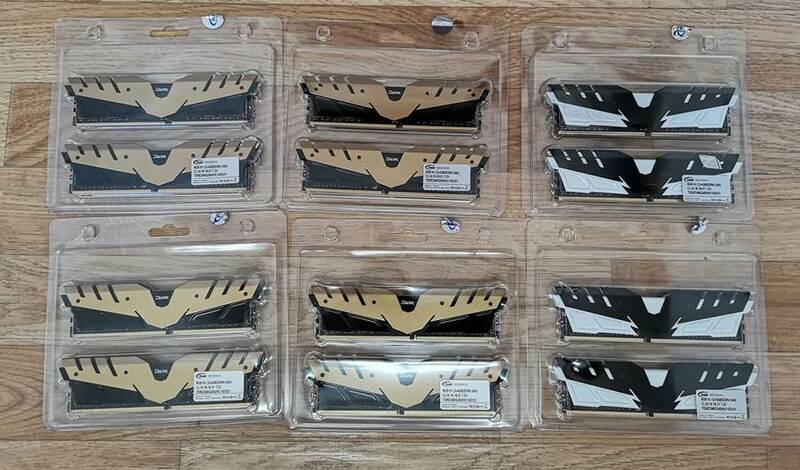 Feeling super blessed with these, and highly appreciated, I will add more pics of these over the coming weeks as my custom designs for waterblocks come to reality with a samurai twist. 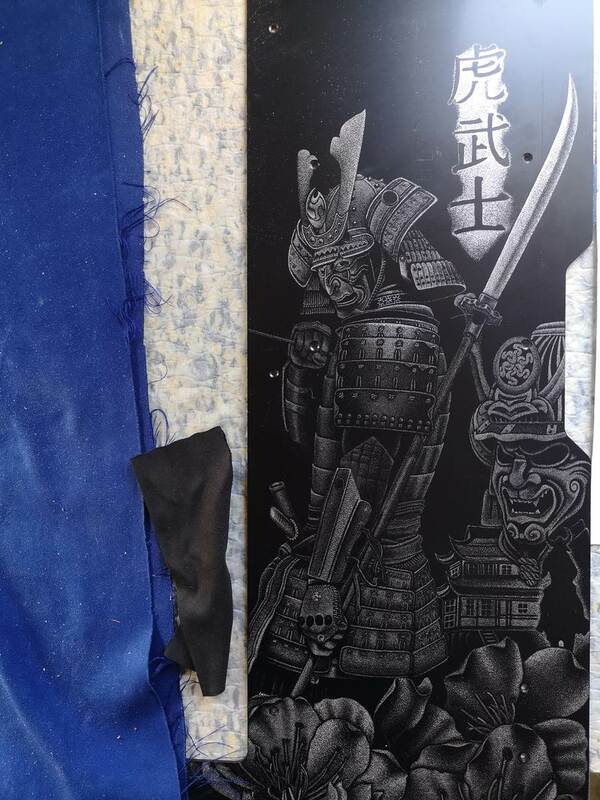 Another small little update, its been hard getting into the shed to engrave more because of the extreme weather, but its coming along and side one is getting closer to completion. 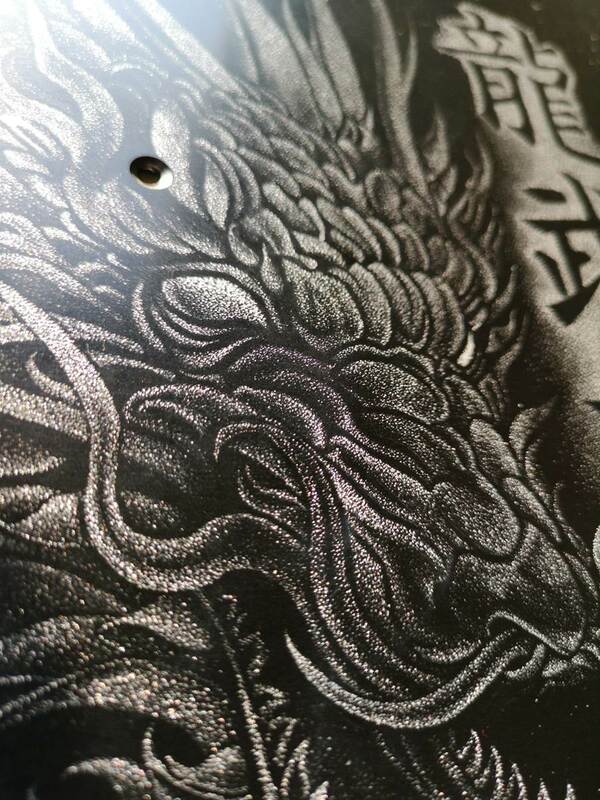 Loving the dragons head tbh, yes this is taking a long time, but the result is so worth it. 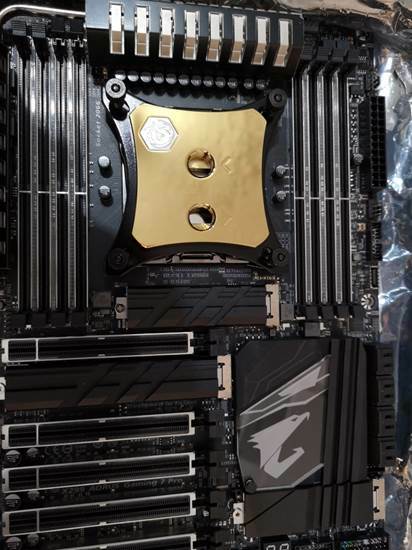 Not much left to do on this side, also next week I can start doing the waterblock ect… so more to come sooner rather than later . 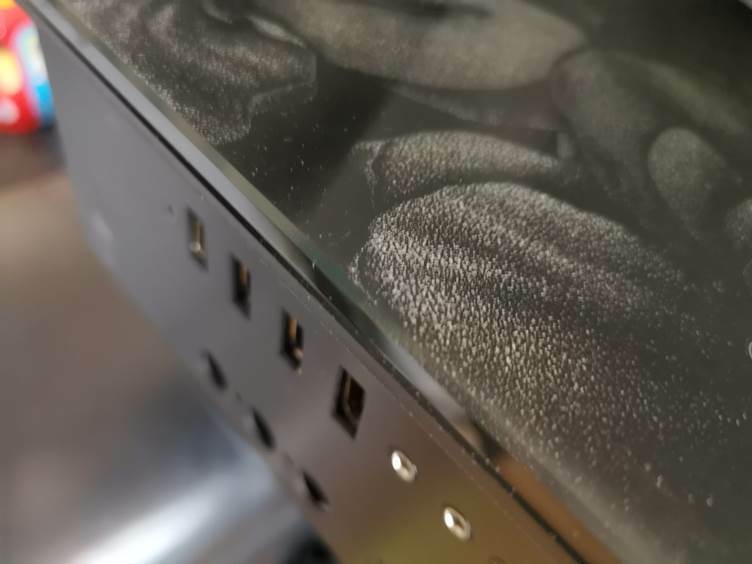 Oh yes for the first time ever Monitor sponsorship on a build from LG amazing, will follow up with some pictures of these when I get the stuff to slightly alter them which is coming from Italy.